Dan and Bianca met Fall of 2010 which was his freshman year at Toccoa Falls College and her junior year. 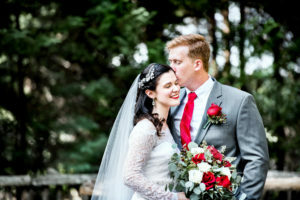 As much as Dan and Bianca got along those during those times, having such different schedules and friends lead to them not having much communication until after their time at TFC. 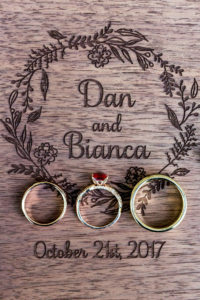 For the next few years Dan and Bianca remained casual friends on social media, but never truly talked. 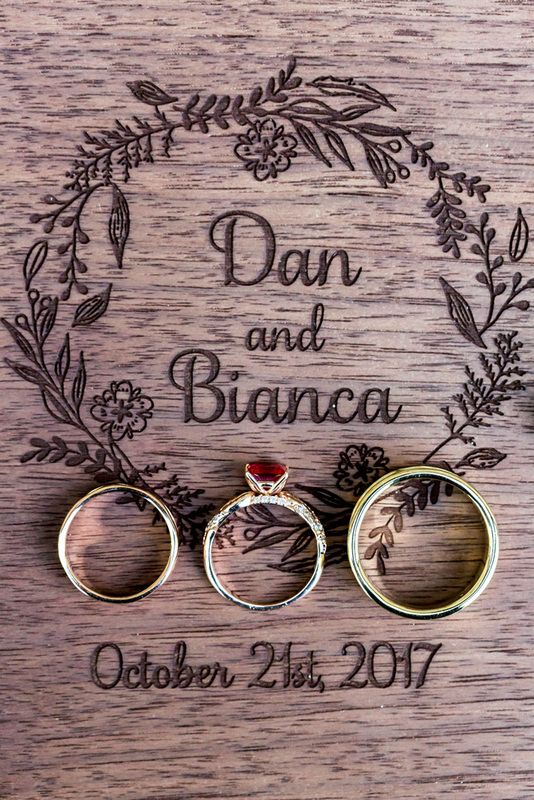 This all changed in Summer 2014 when Bianca received a message from Dan which sparked a conversation that lasted several months. 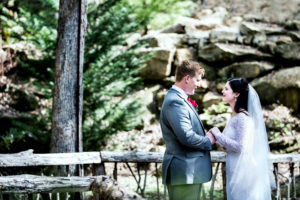 He was working at a camp she had worked at two years previously and they reconnected over their mutual love of youth, camp, and shared experiences there. This ultimately led him to tell her he had feelings for her on November 2nd, 2014. 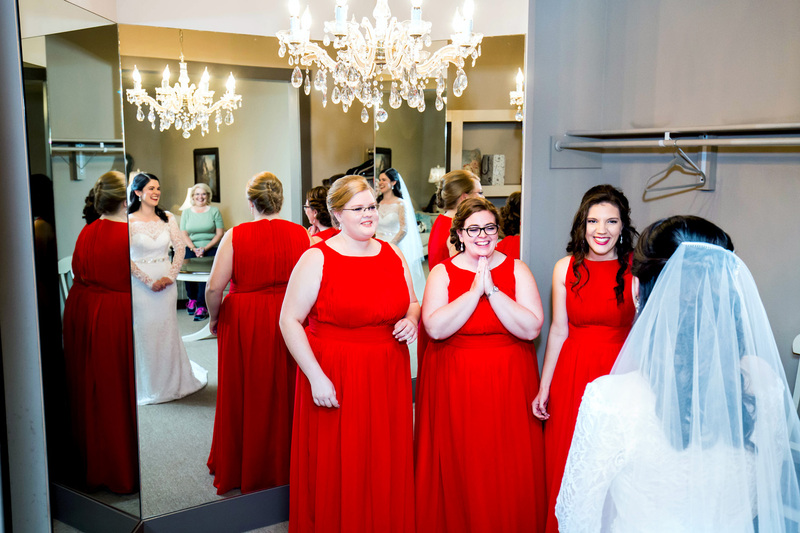 Bianca had no idea how to handle this information, but nonetheless they stayed friends. On February 8th, 2016, Dan went to Minnesota for Bianca birthday. 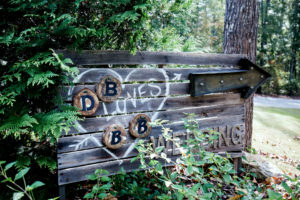 They went hiking on Douglas Trail and at mile marker 135 he asked her to be his girlfriend. 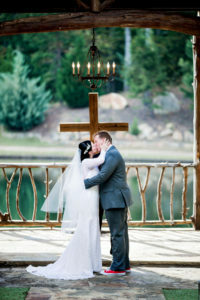 They also had their first kiss that day while snow fell on them which is one of the few times Bianca had enjoyed winter! The New Year rolled around. 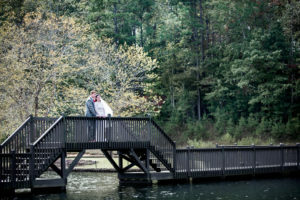 They went back to the summer camp that means so much to both of them. 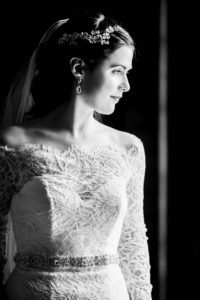 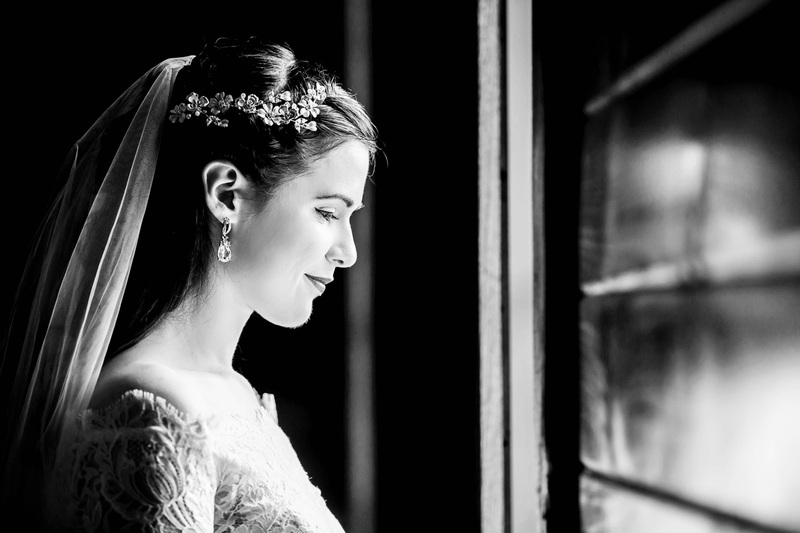 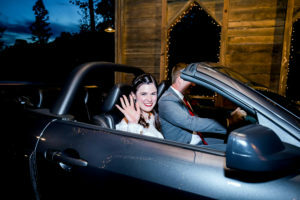 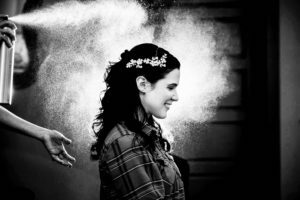 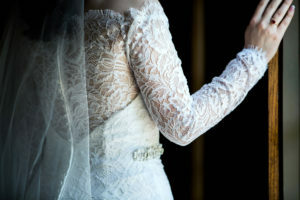 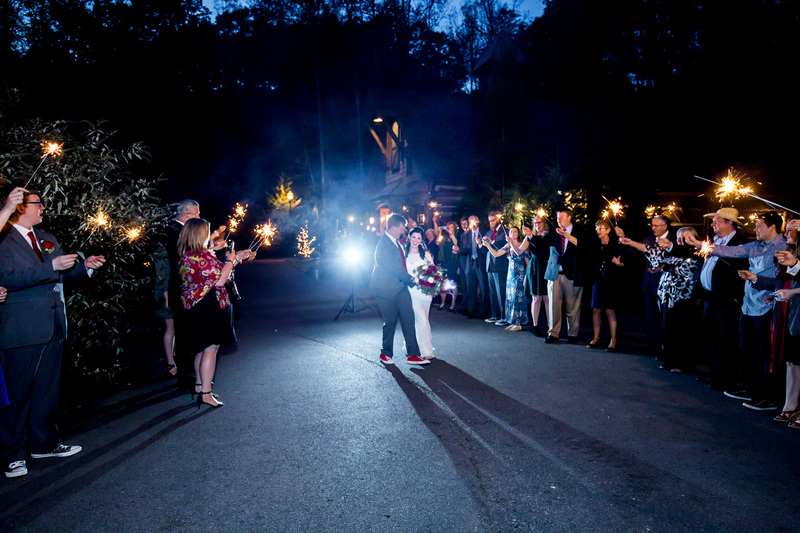 After an eighteen-hour road trip, at the overlook, Dan started heading for the ground, quickly pulled out the ring… A mix of joy, relief, and surprise, caused Bianca to not be able to answer for several minutes. 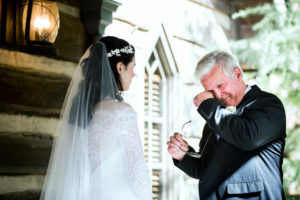 That and she was crying. 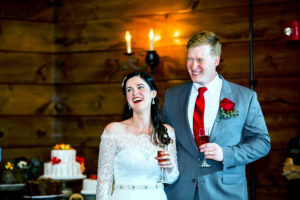 After Bianca said “Yes!” they celebrated with….another six inches of snow the next morning. 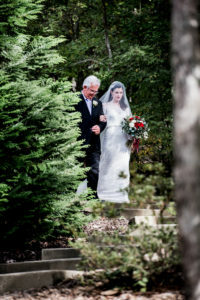 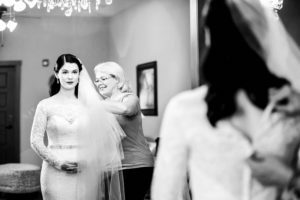 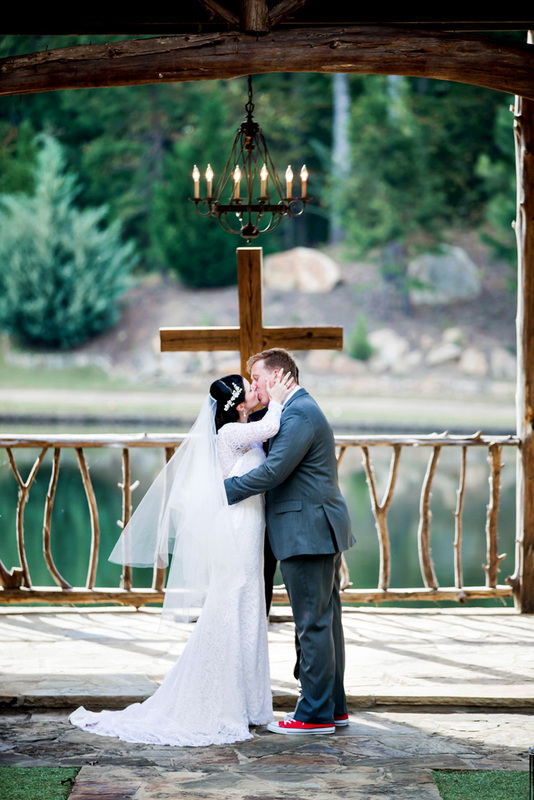 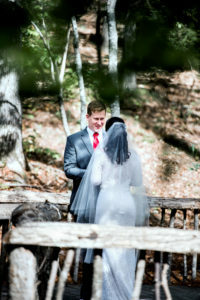 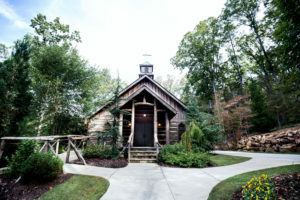 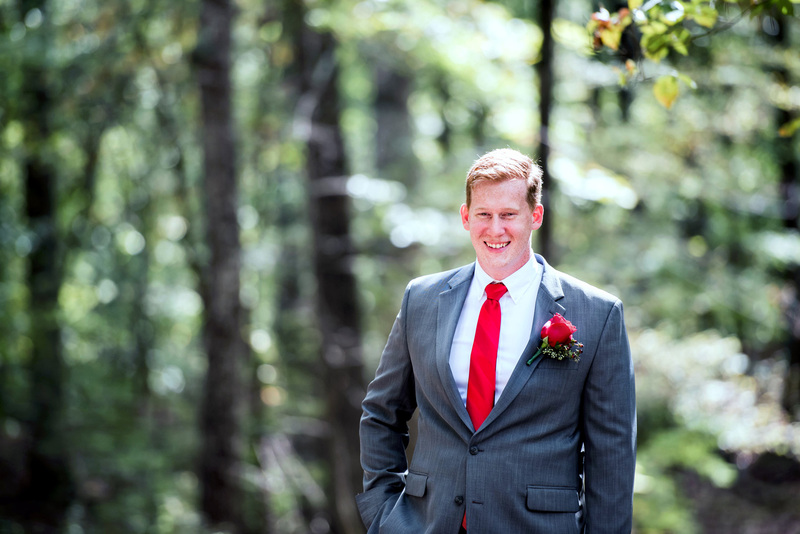 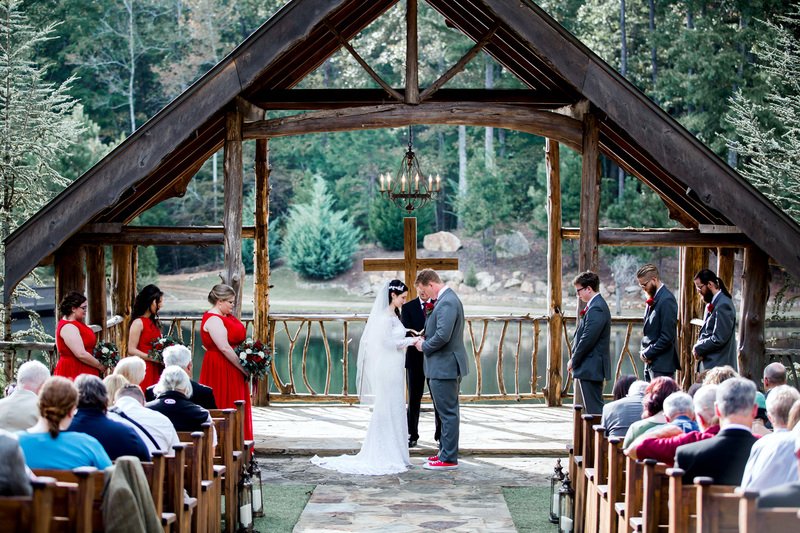 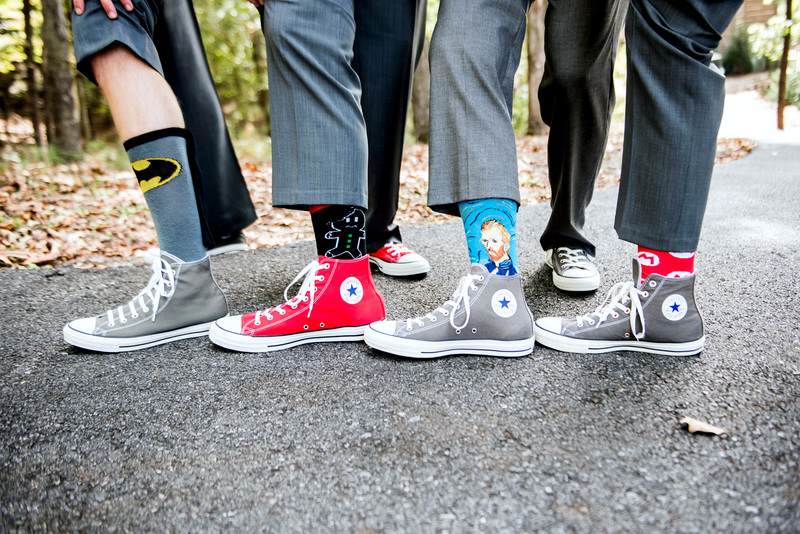 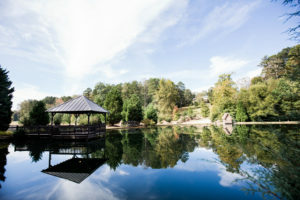 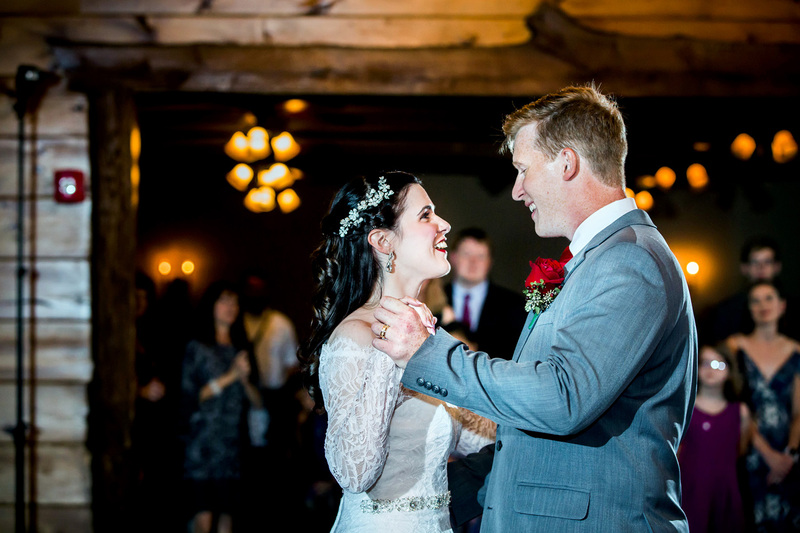 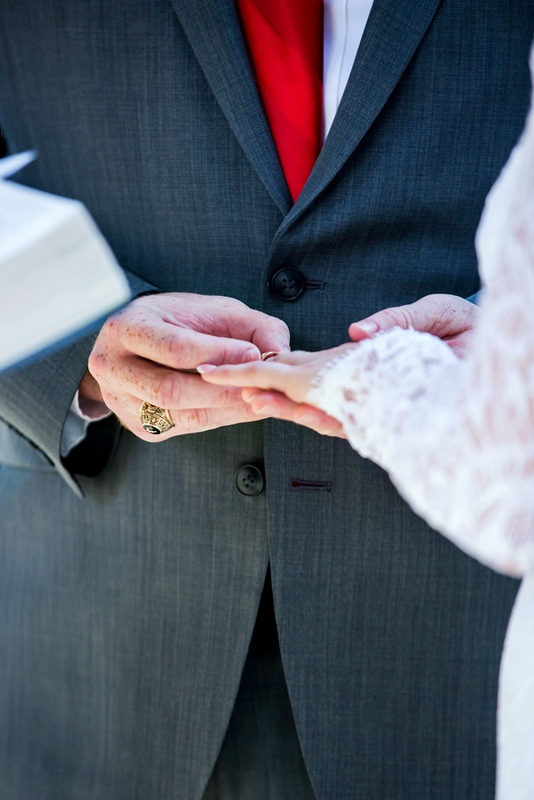 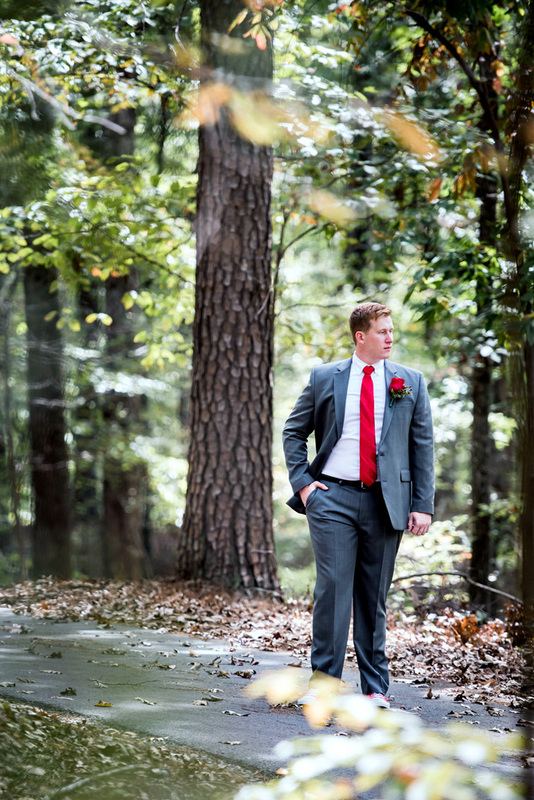 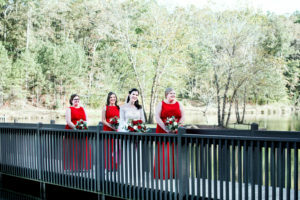 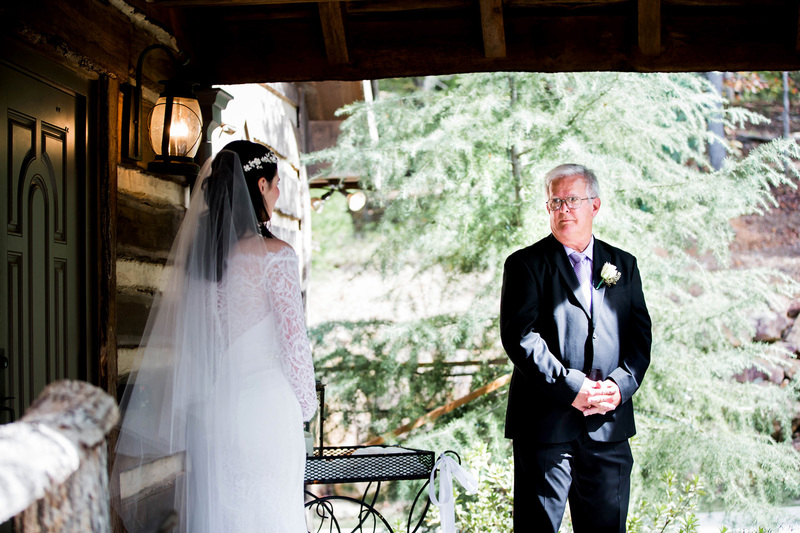 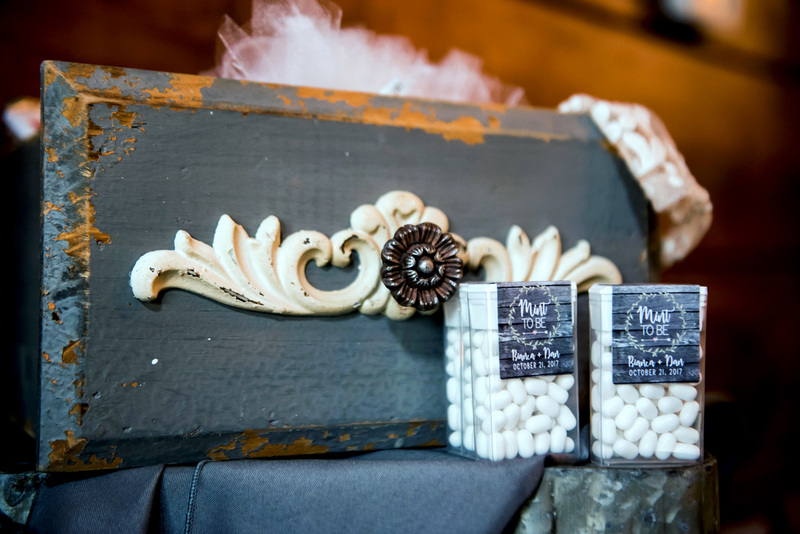 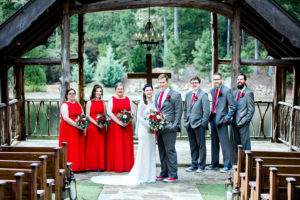 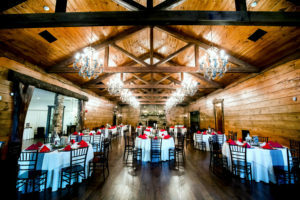 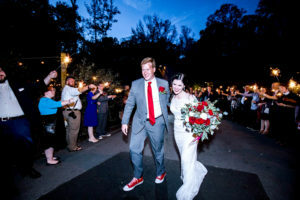 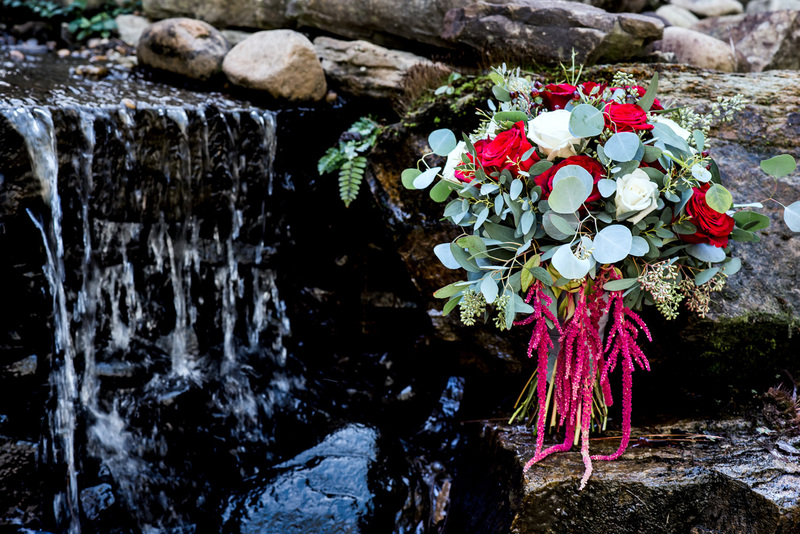 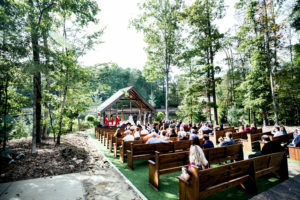 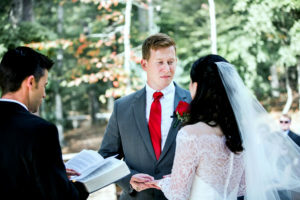 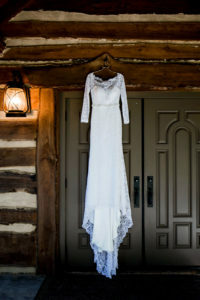 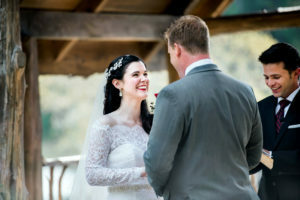 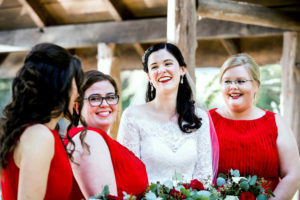 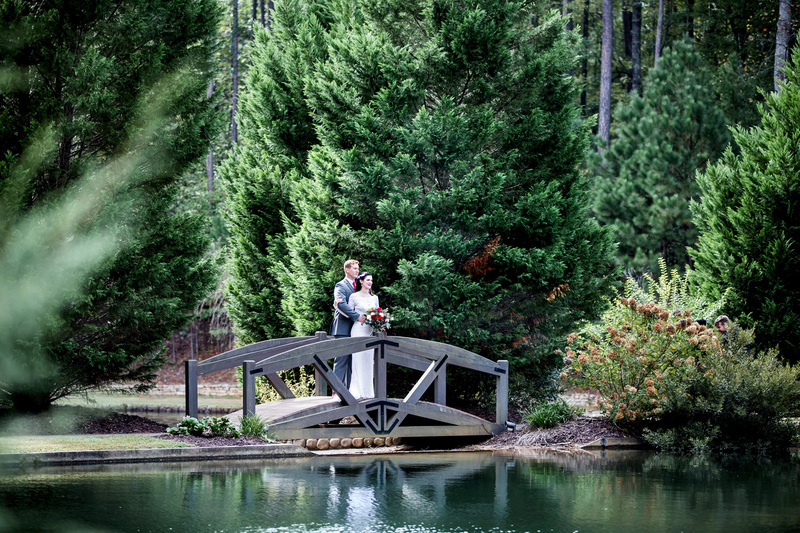 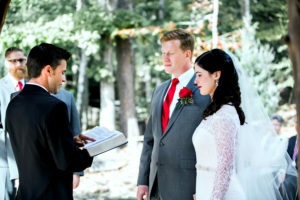 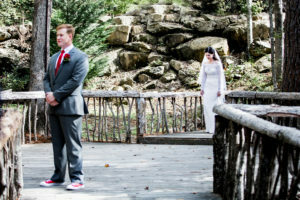 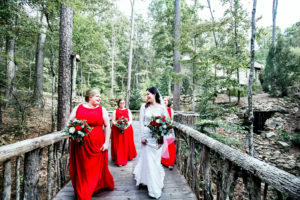 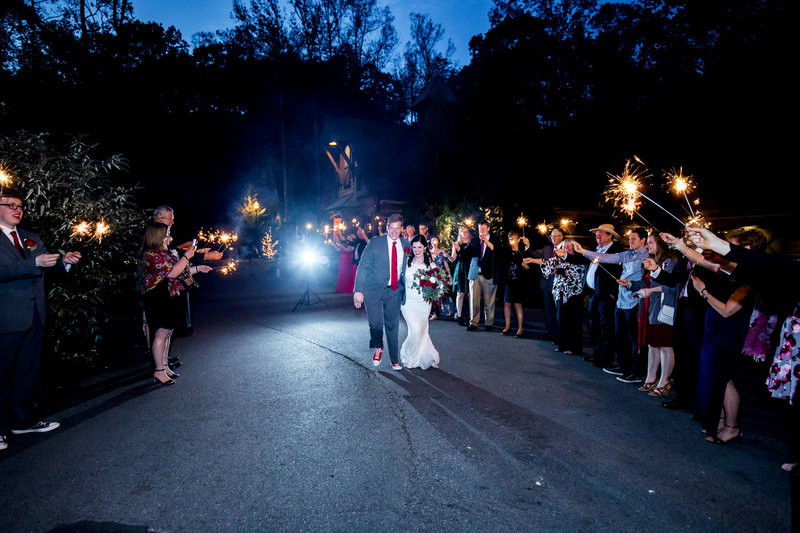 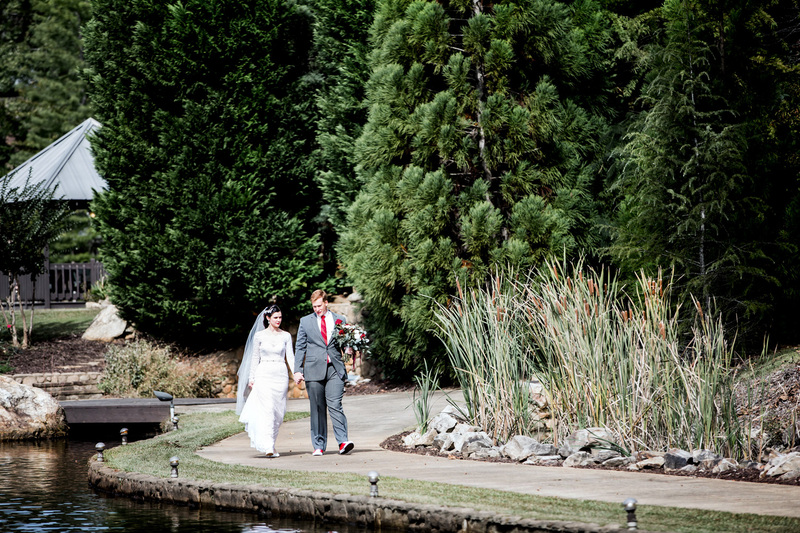 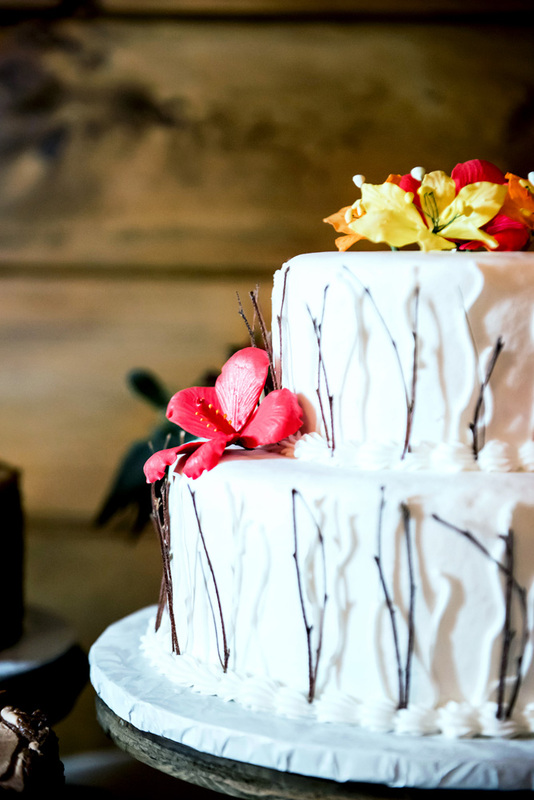 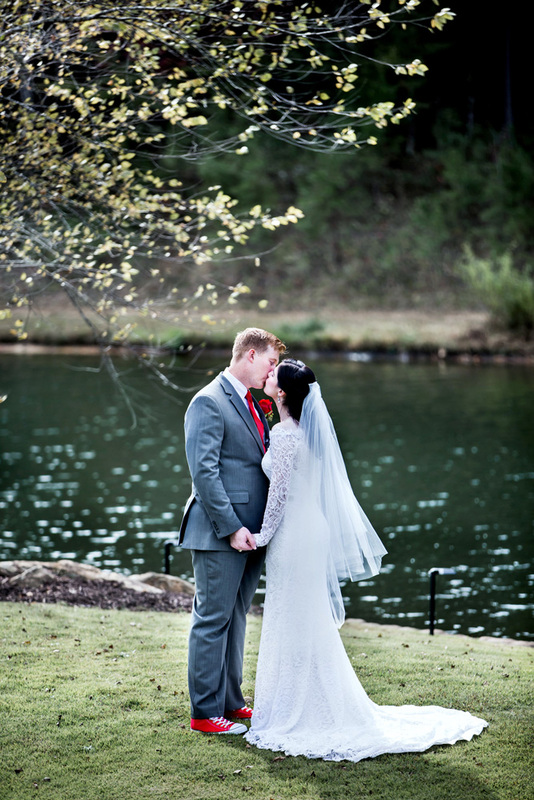 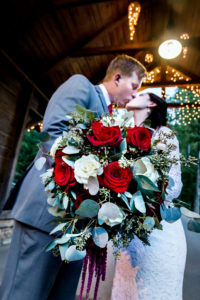 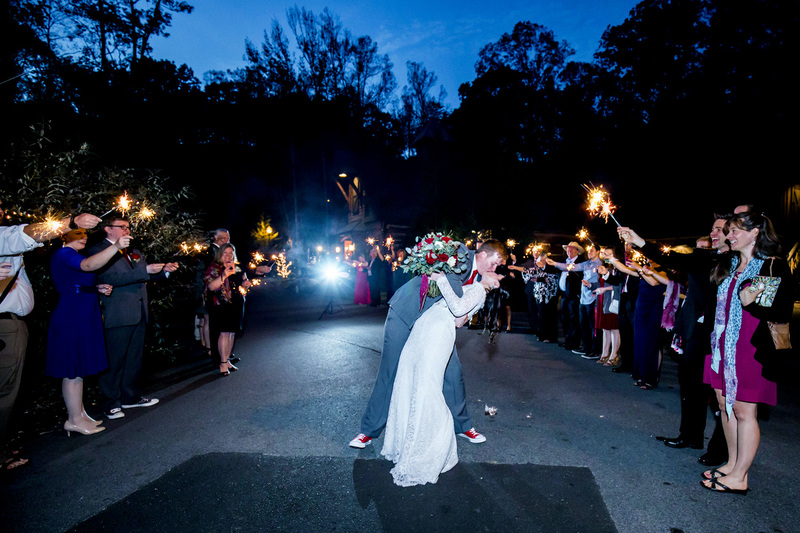 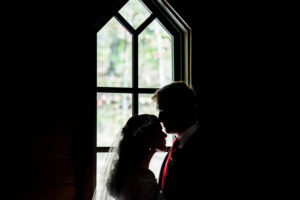 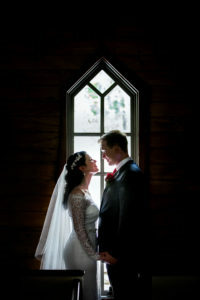 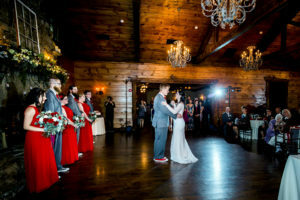 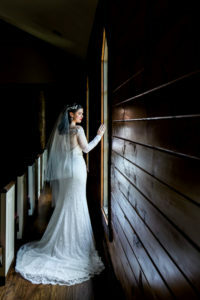 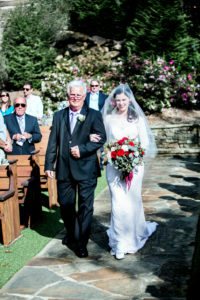 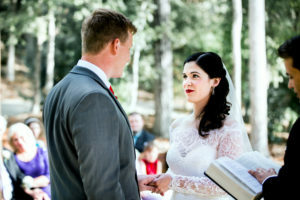 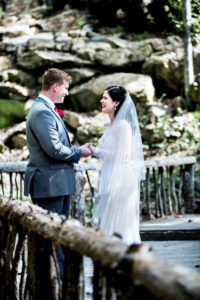 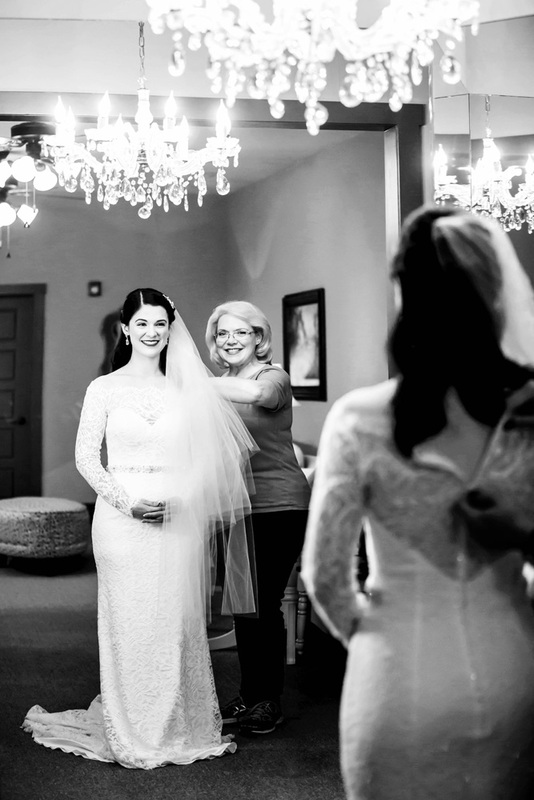 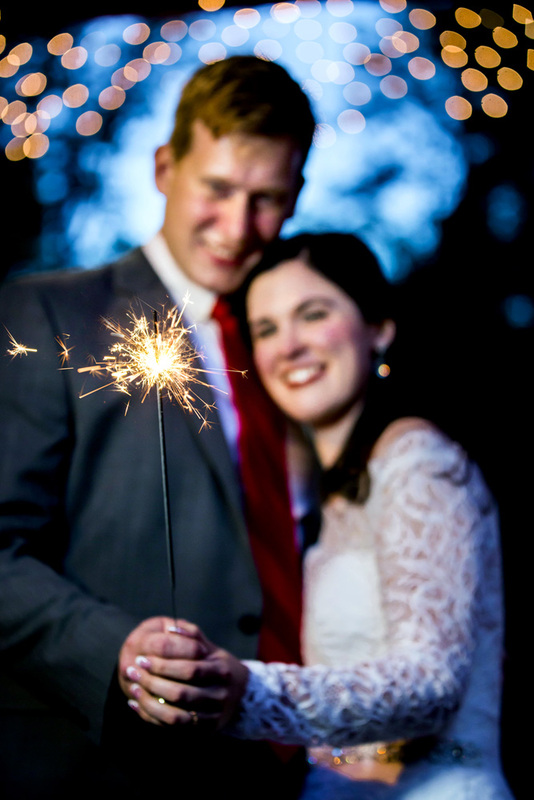 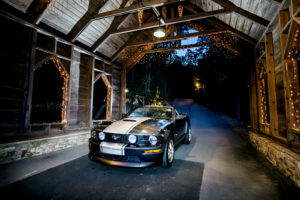 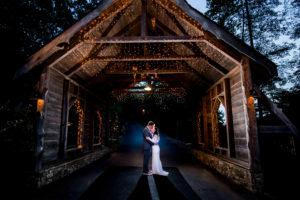 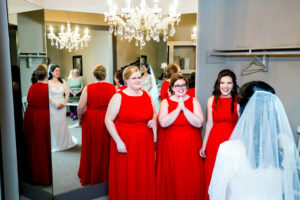 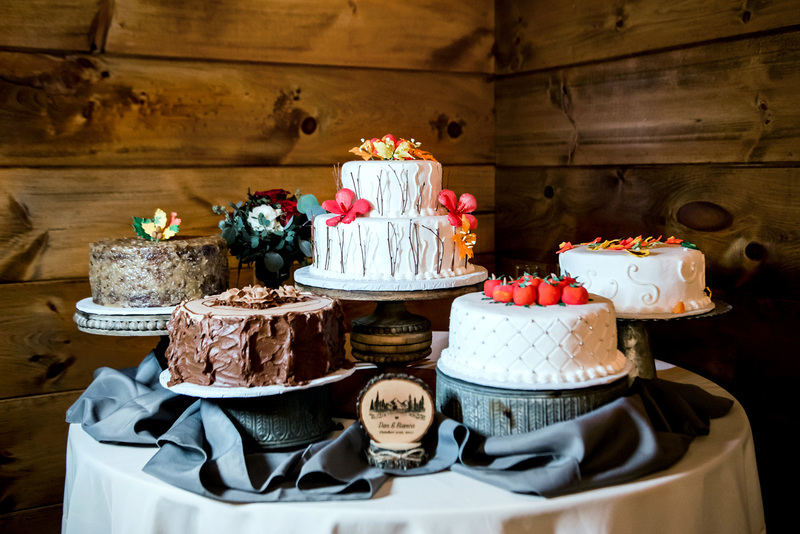 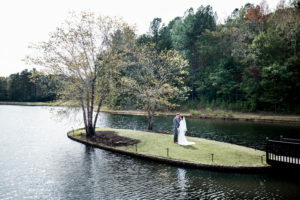 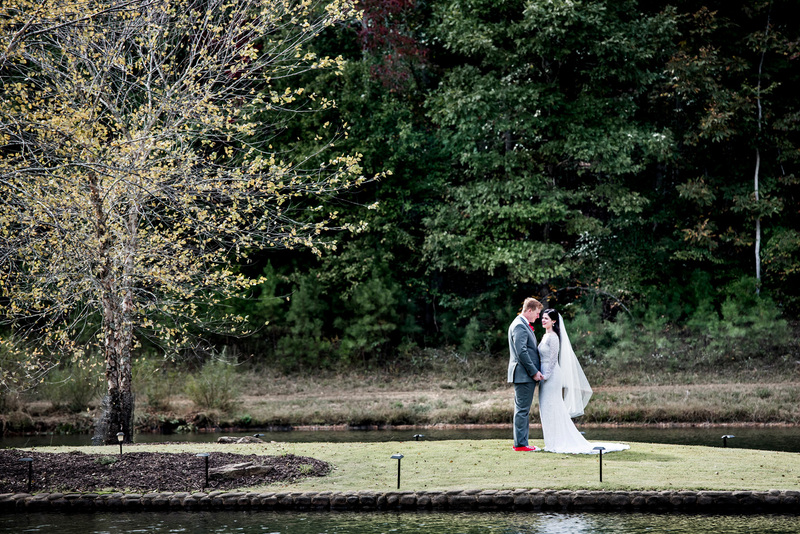 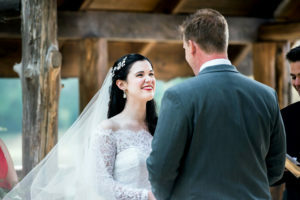 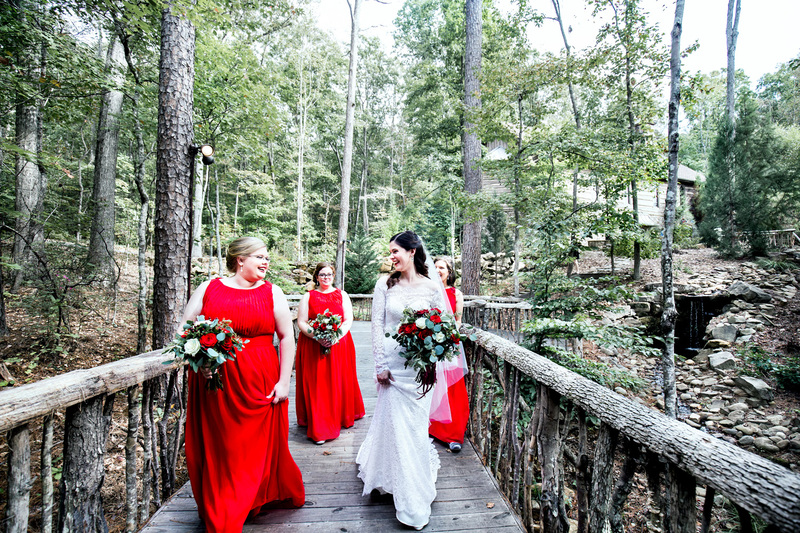 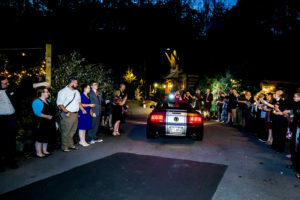 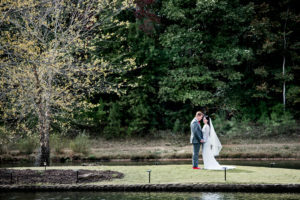 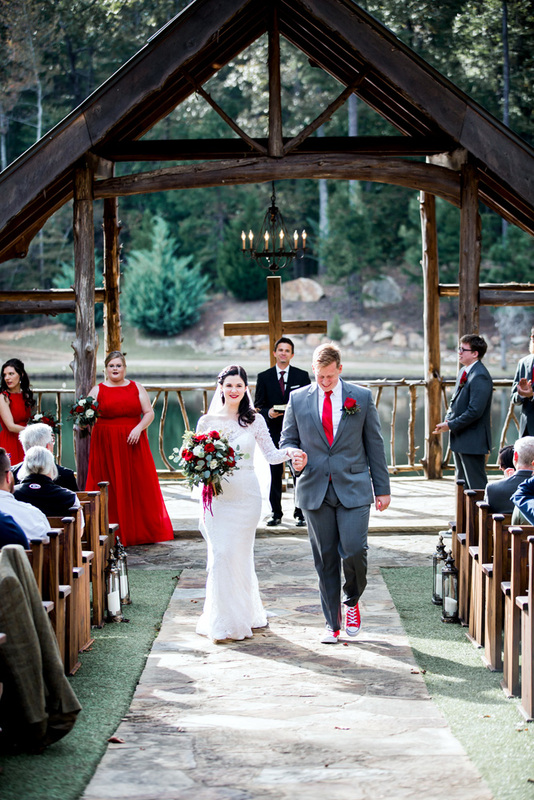 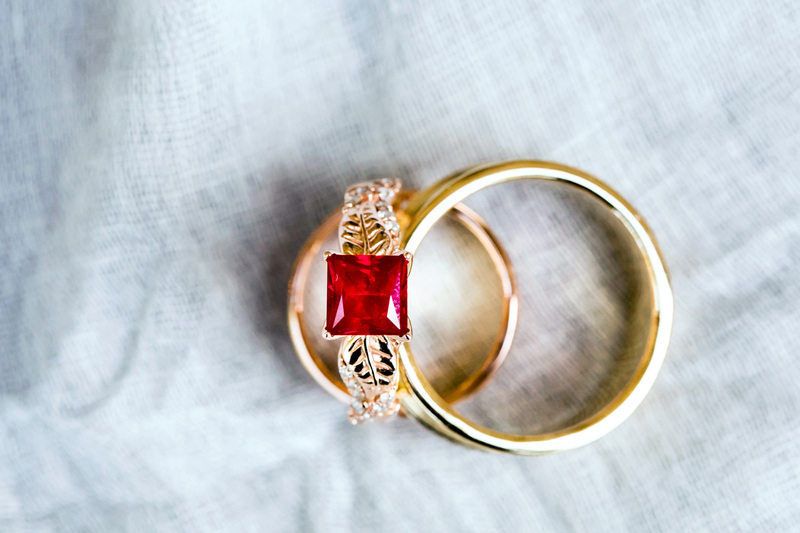 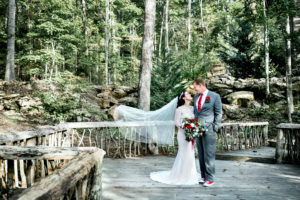 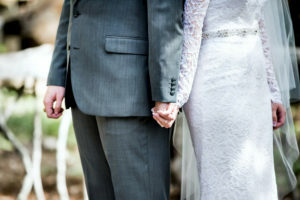 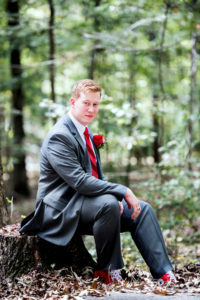 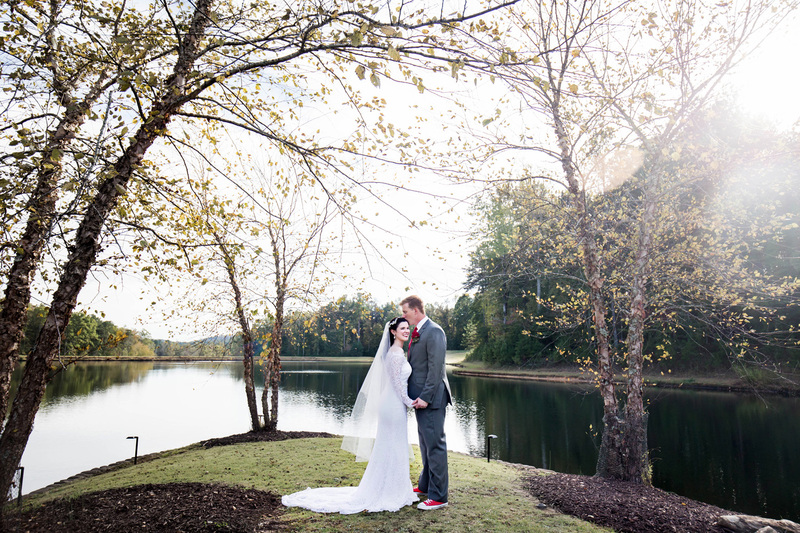 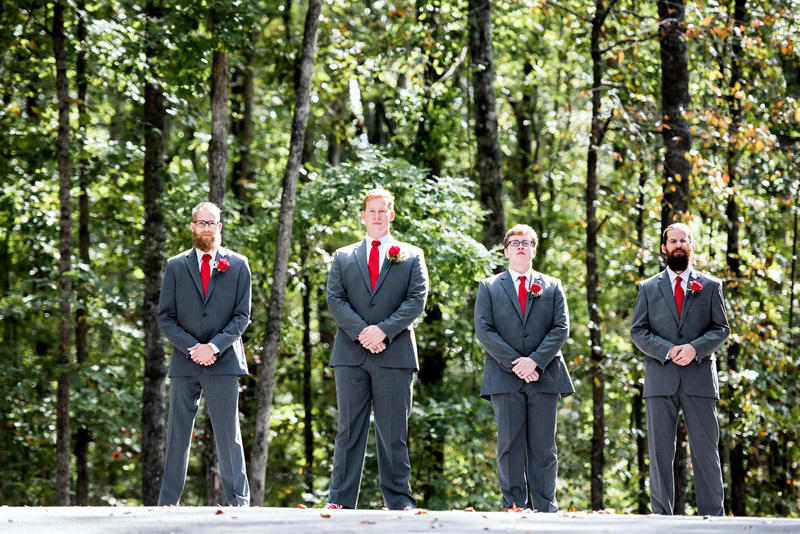 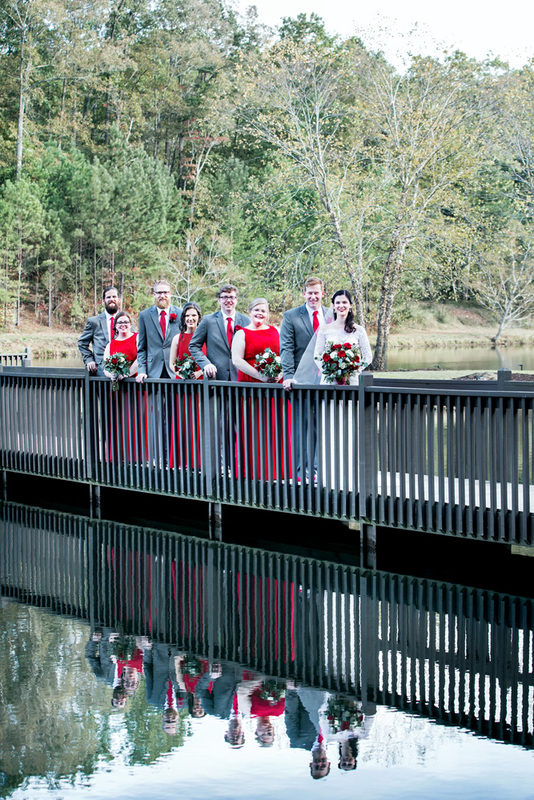 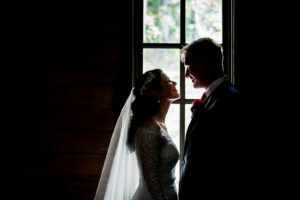 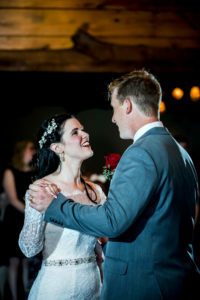 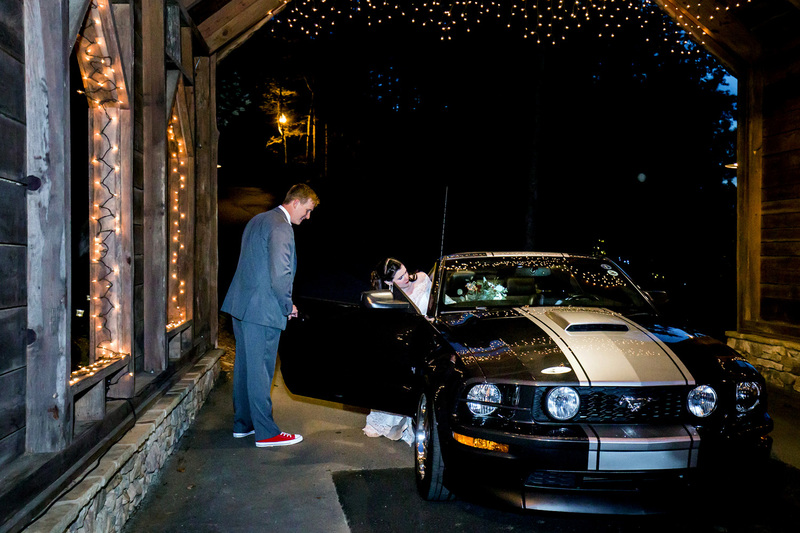 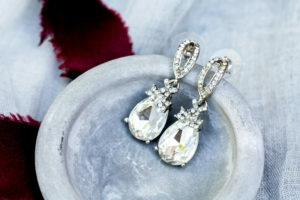 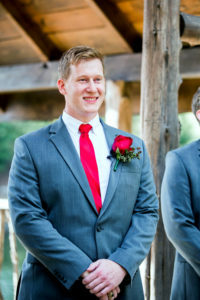 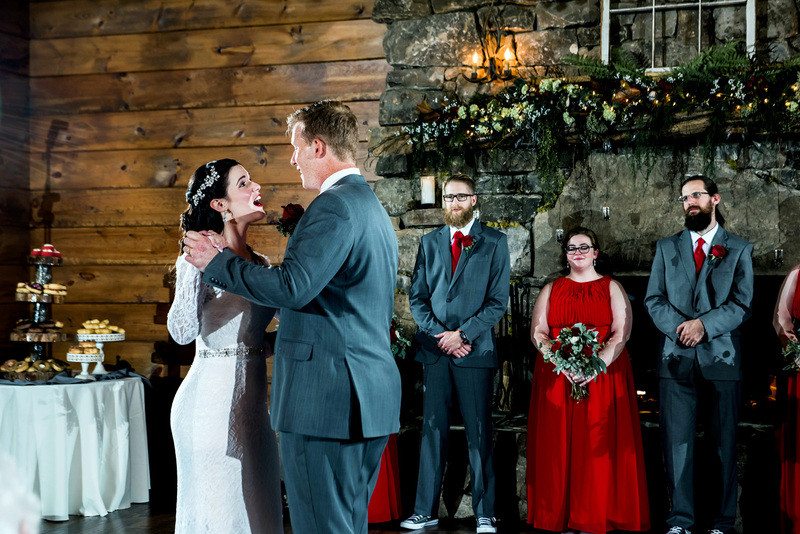 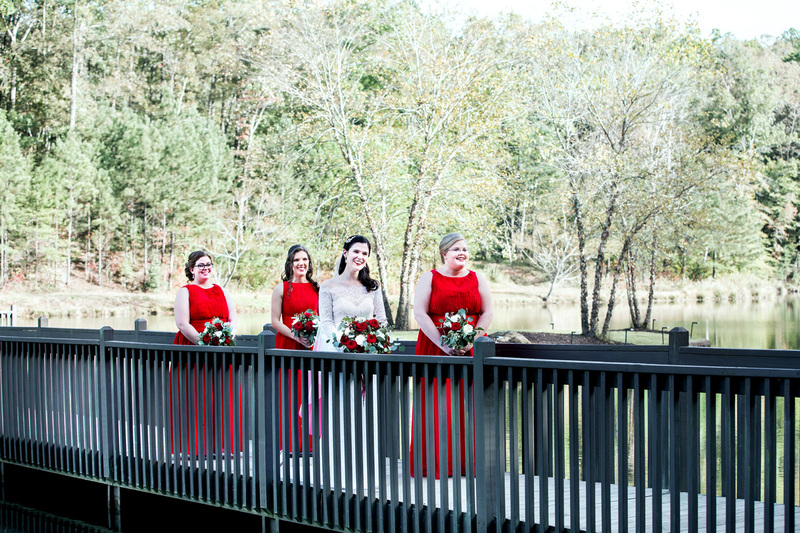 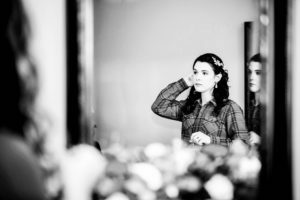 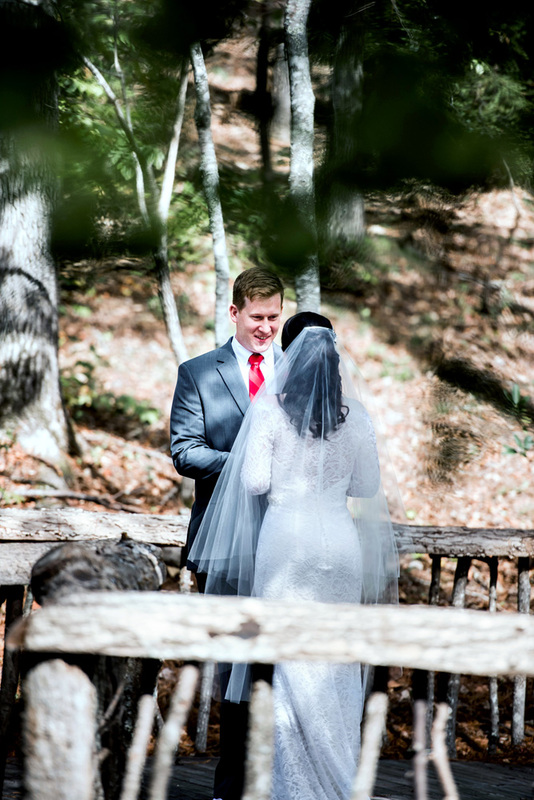 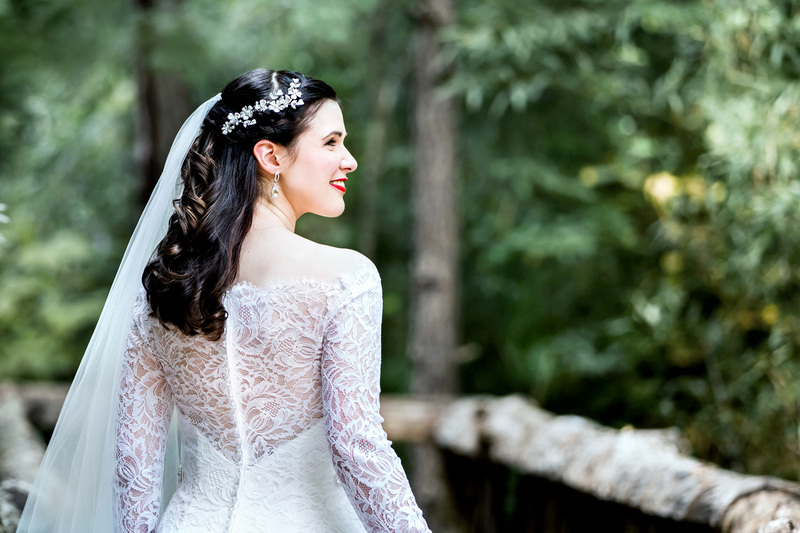 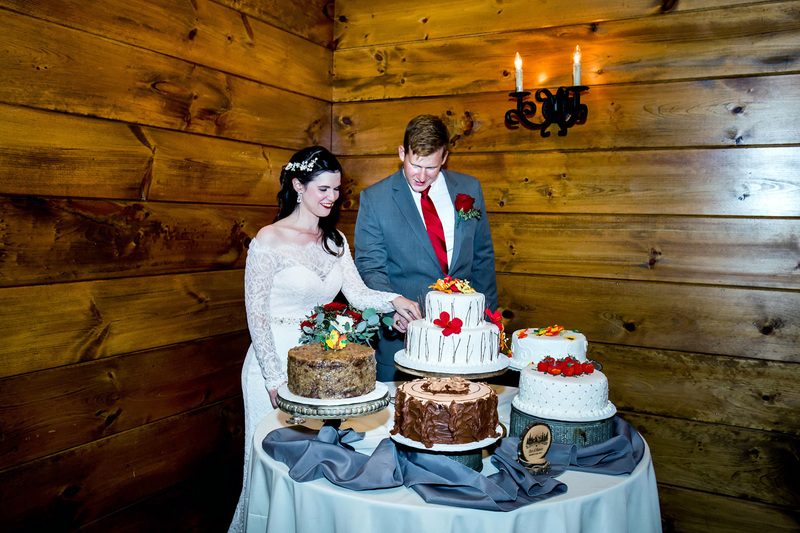 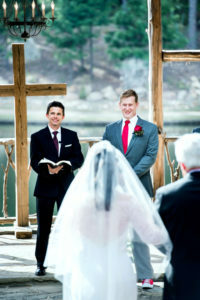 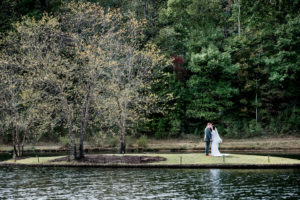 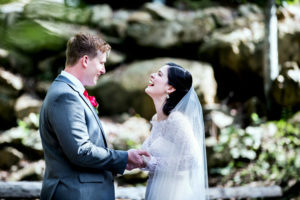 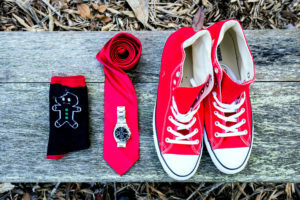 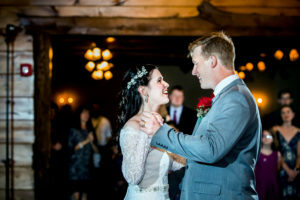 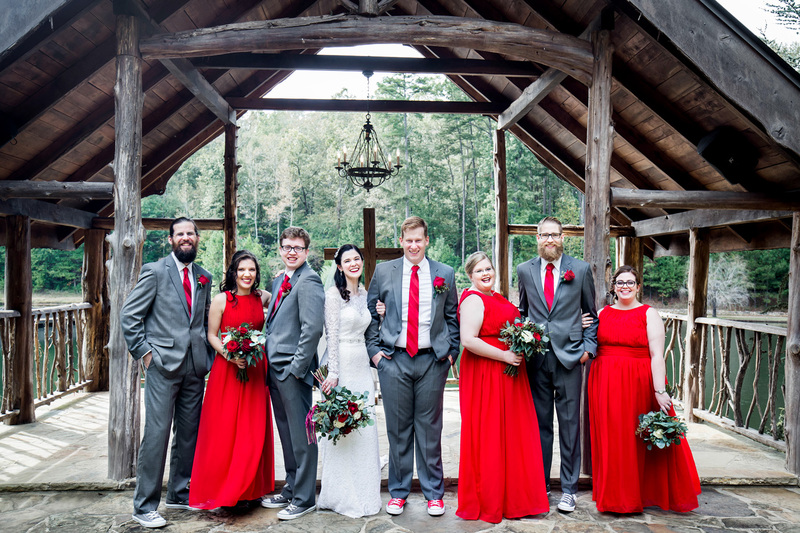 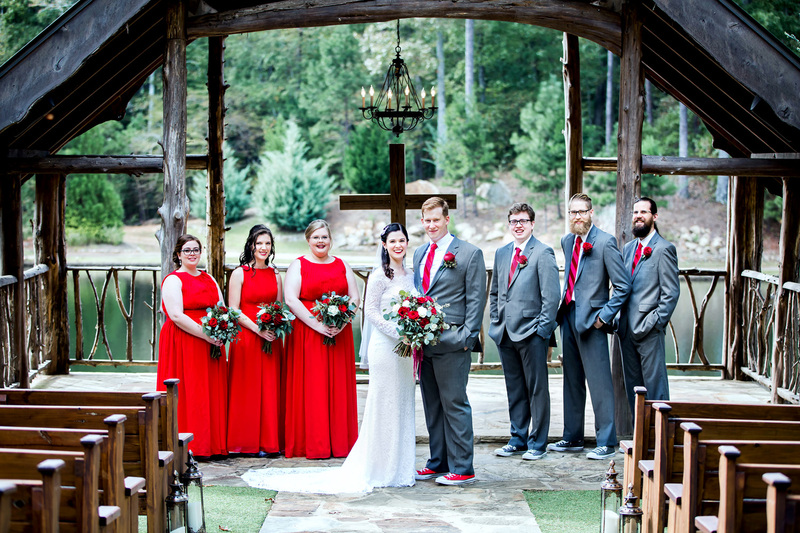 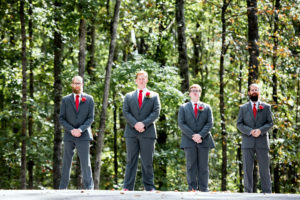 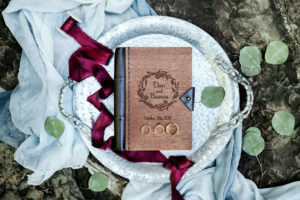 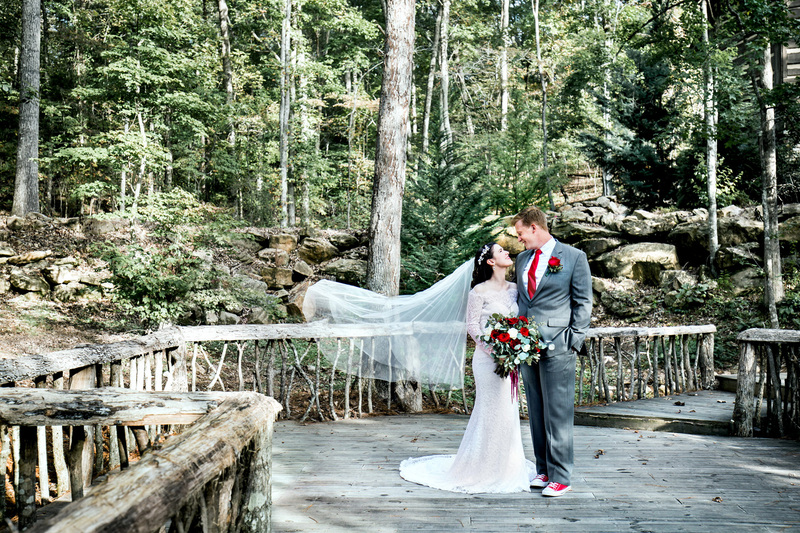 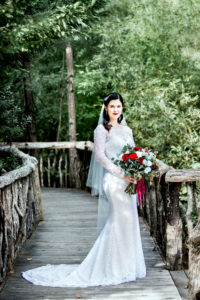 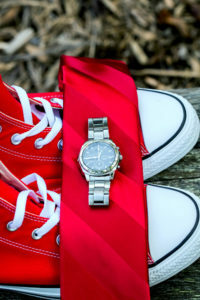 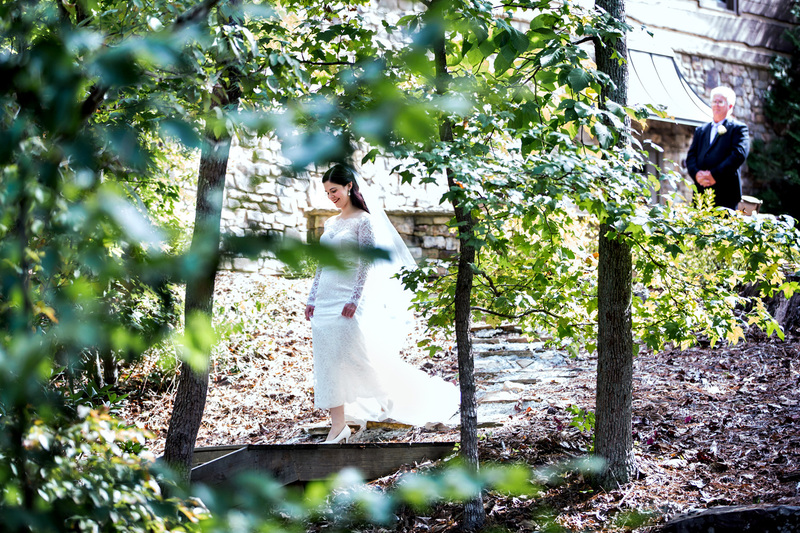 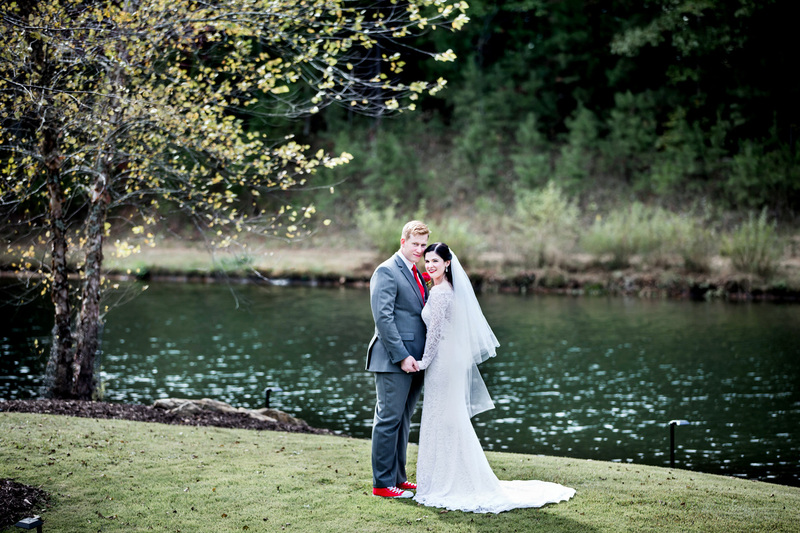 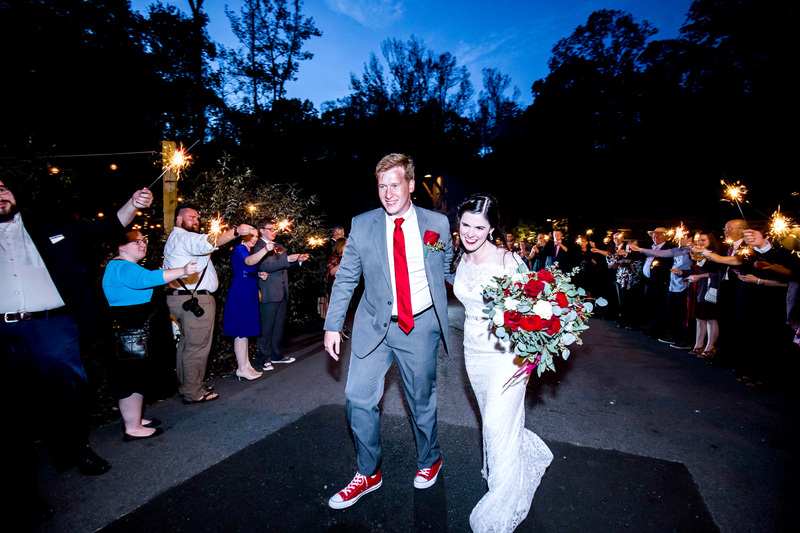 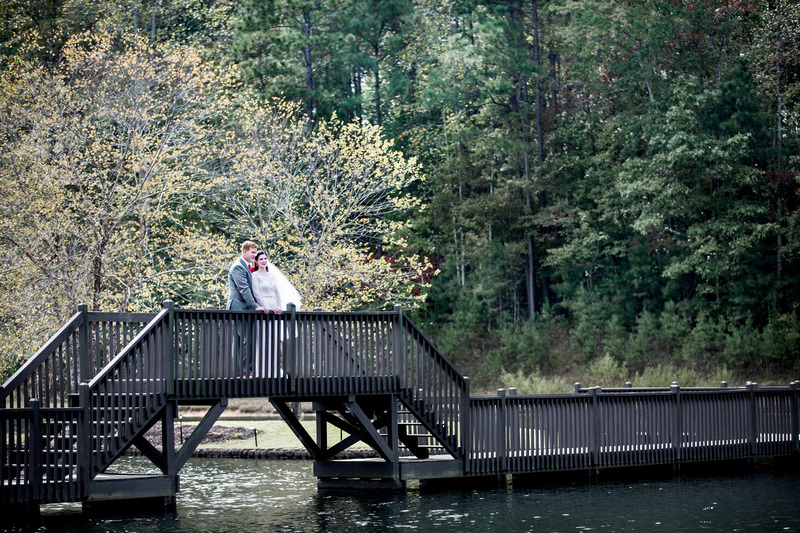 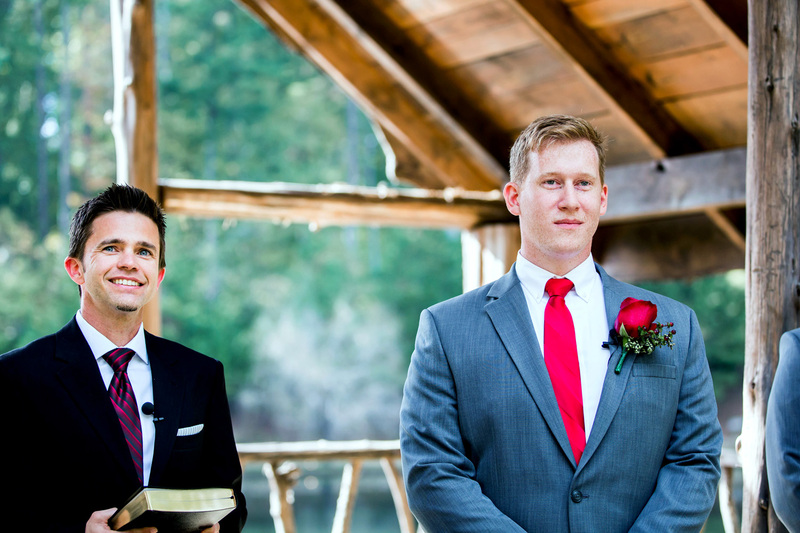 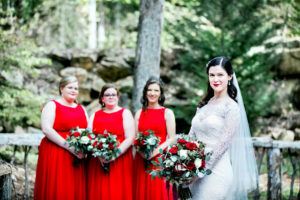 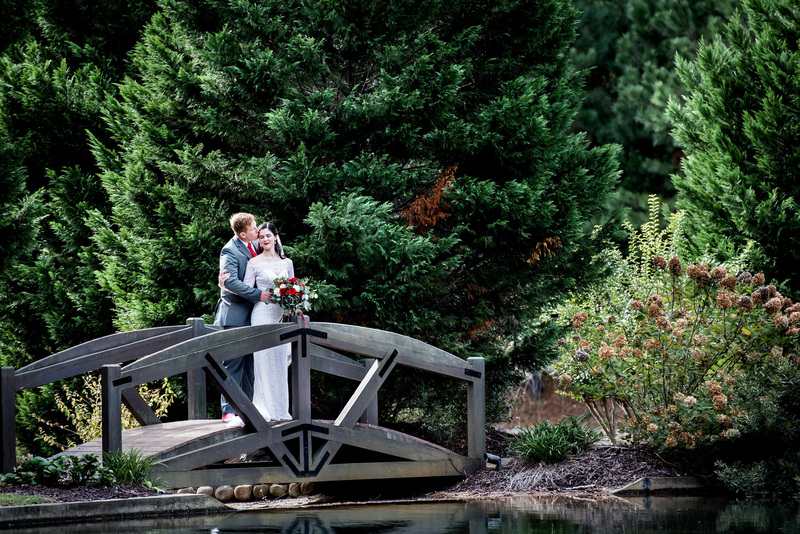 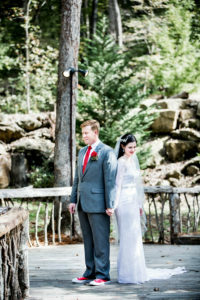 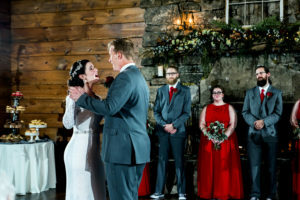 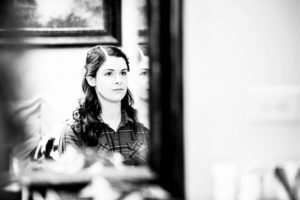 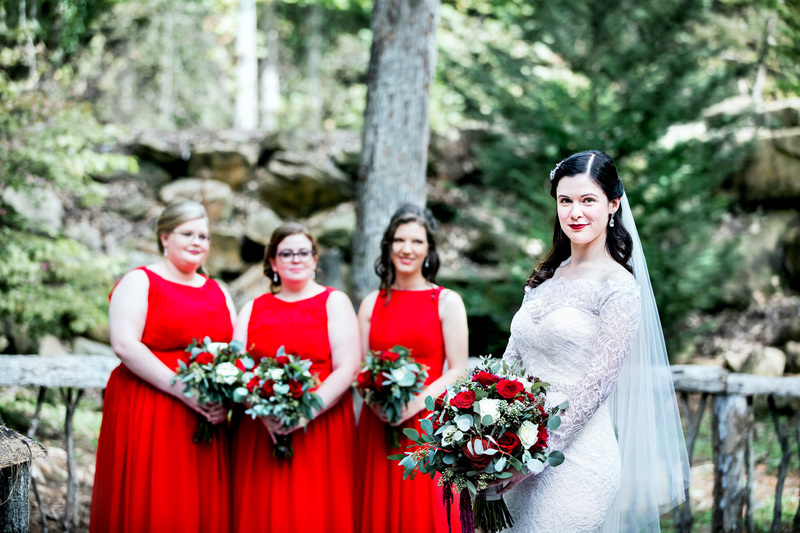 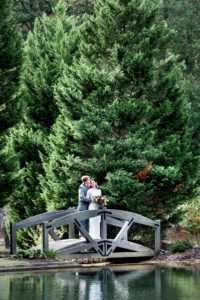 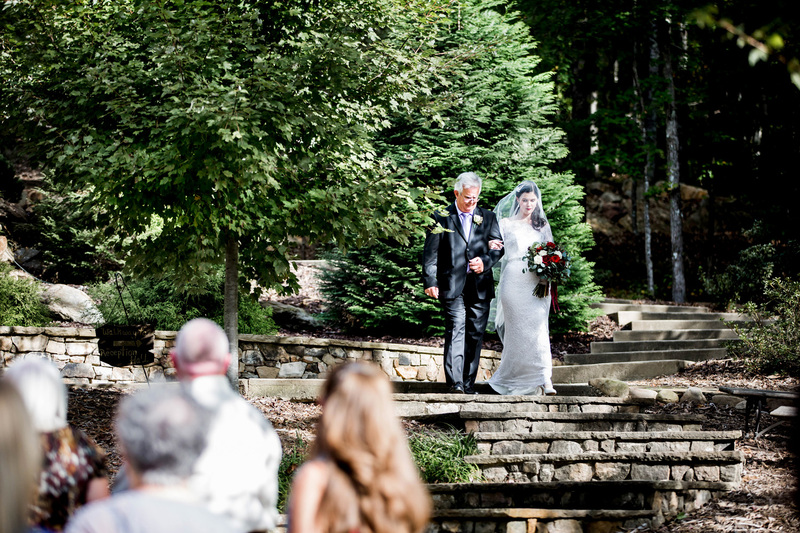 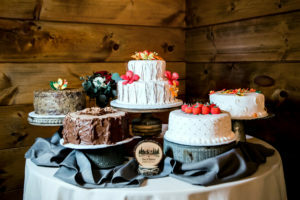 The wedding was held at Indigo Falls — a wooded paradise located North West of Atlanta. 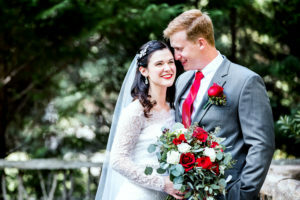 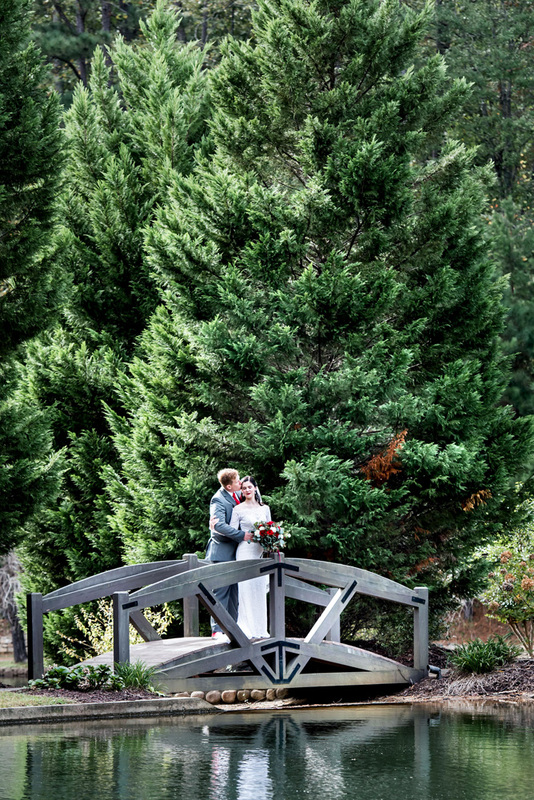 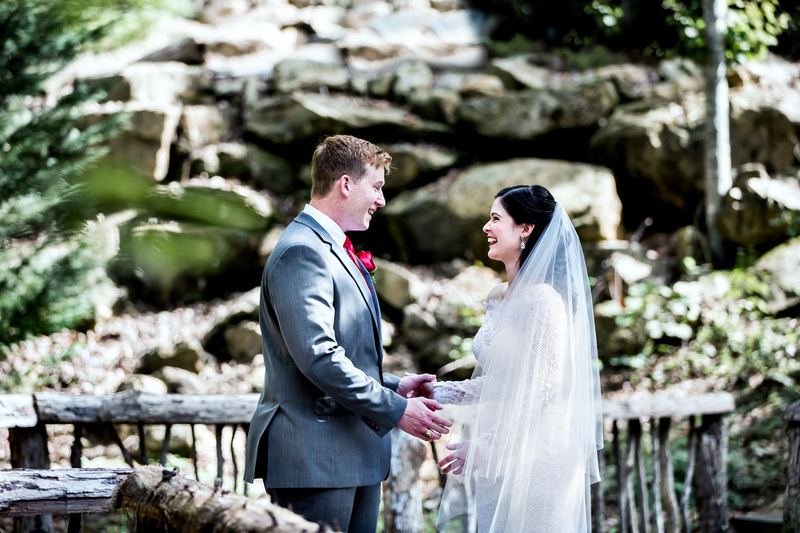 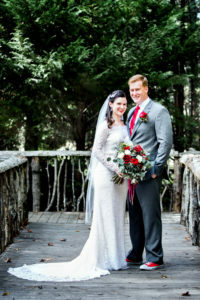 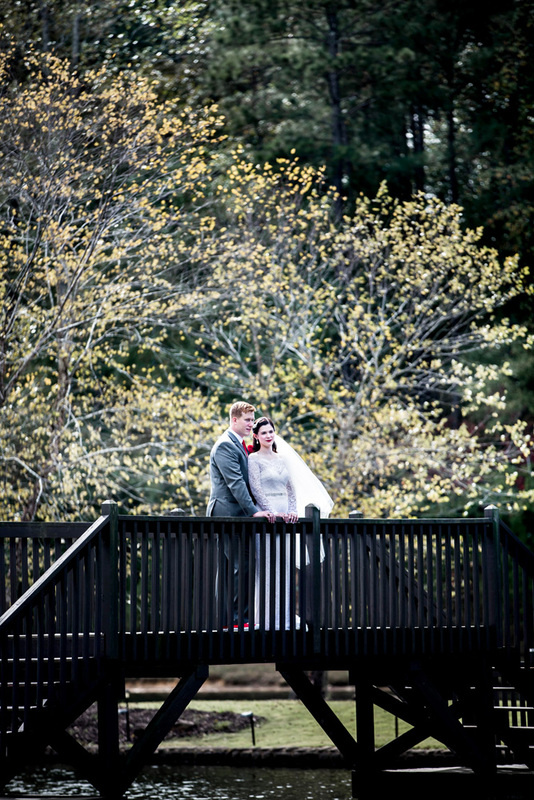 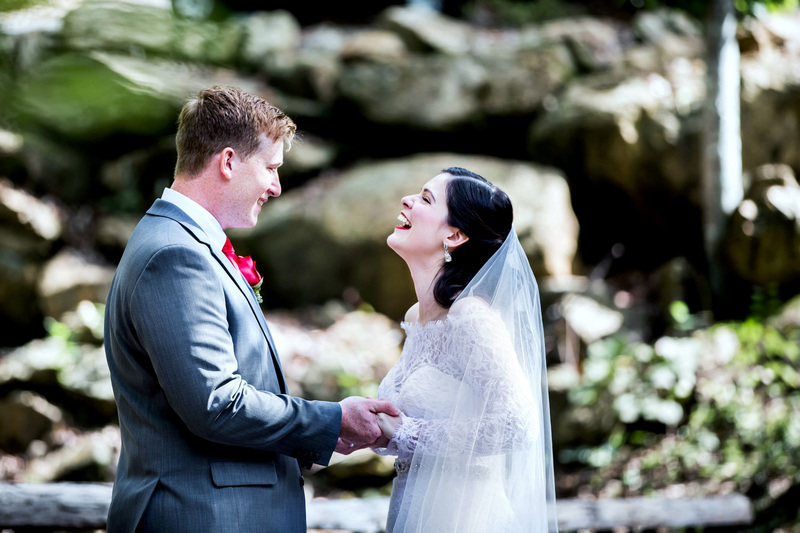 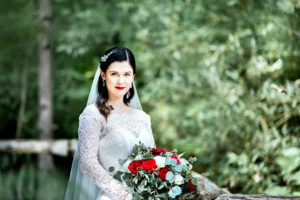 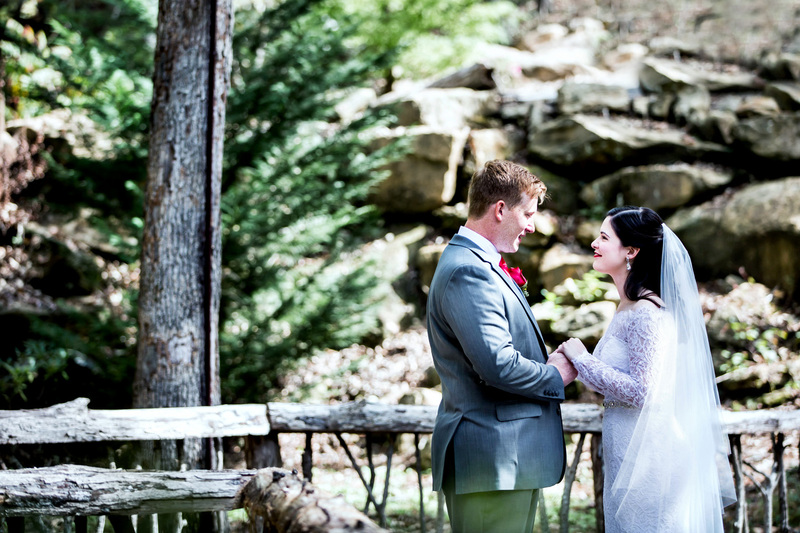 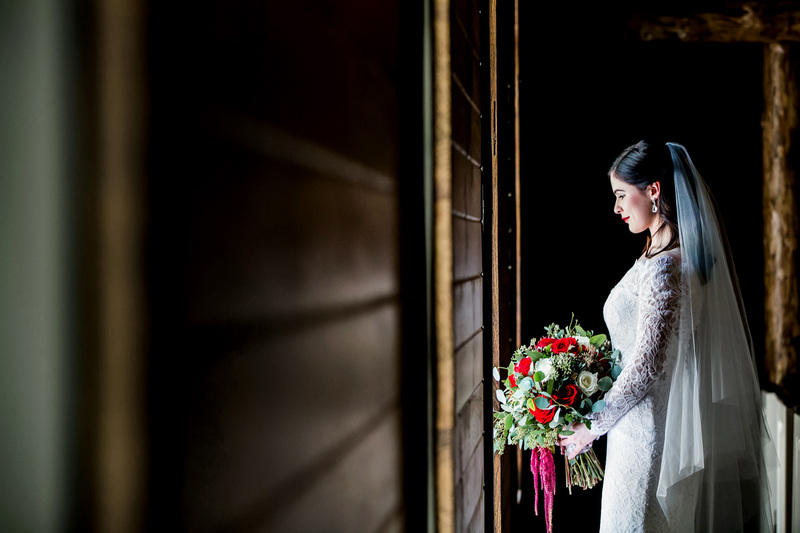 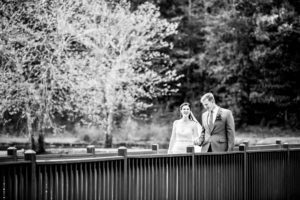 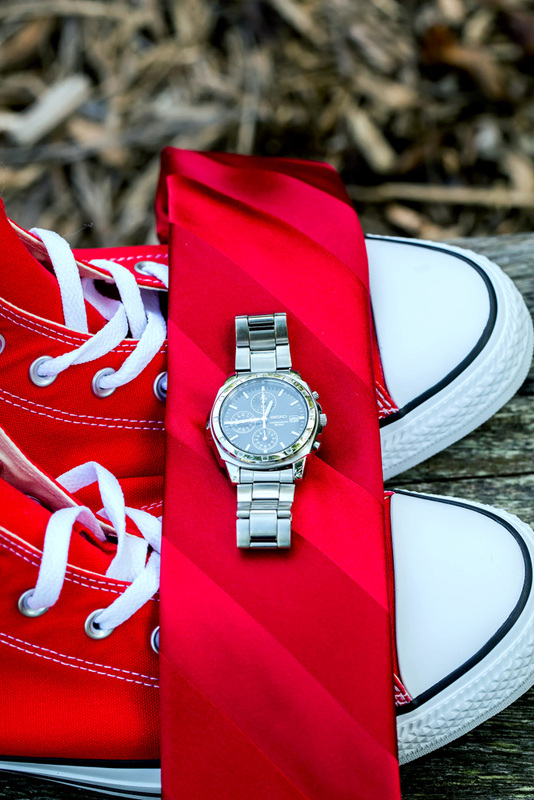 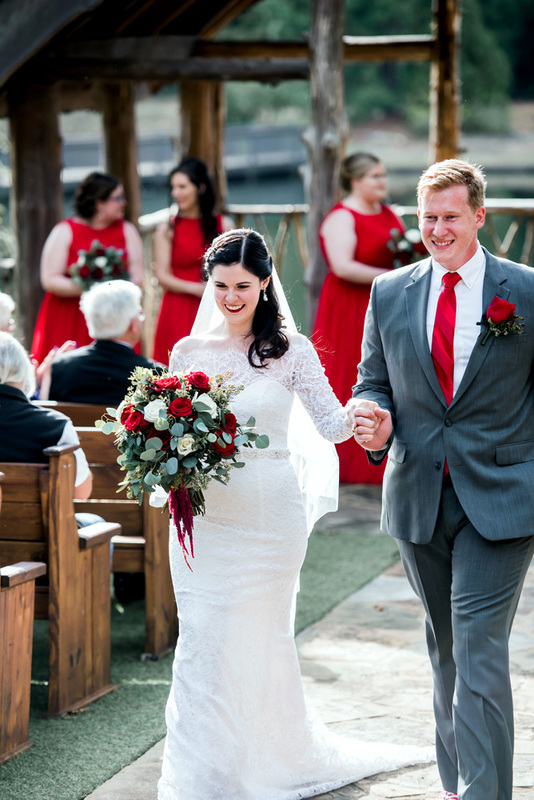 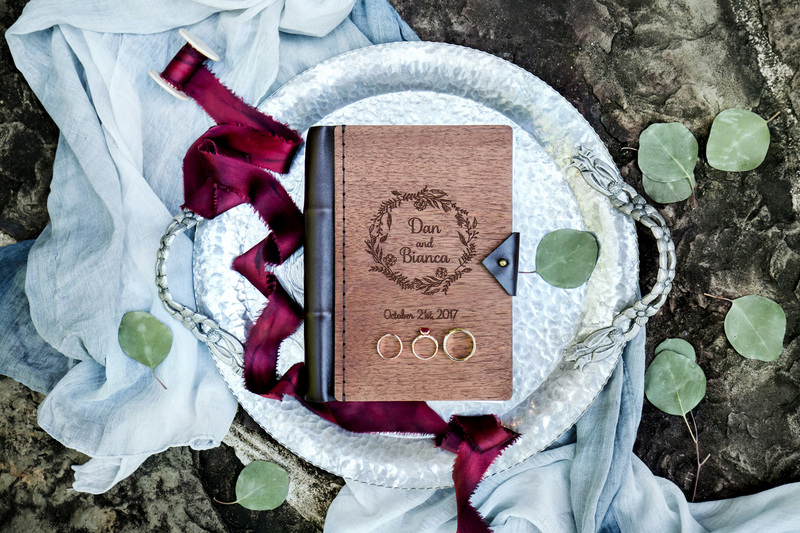 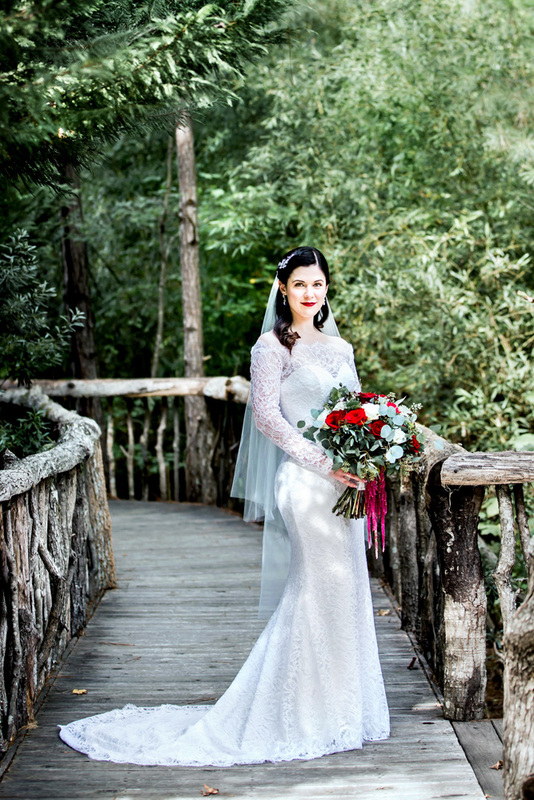 With lakes, streams, walking trails, bridges, beautiful flowers and landscaped hills, it is the perfect venue for the nature lovers Bianca and Dan! 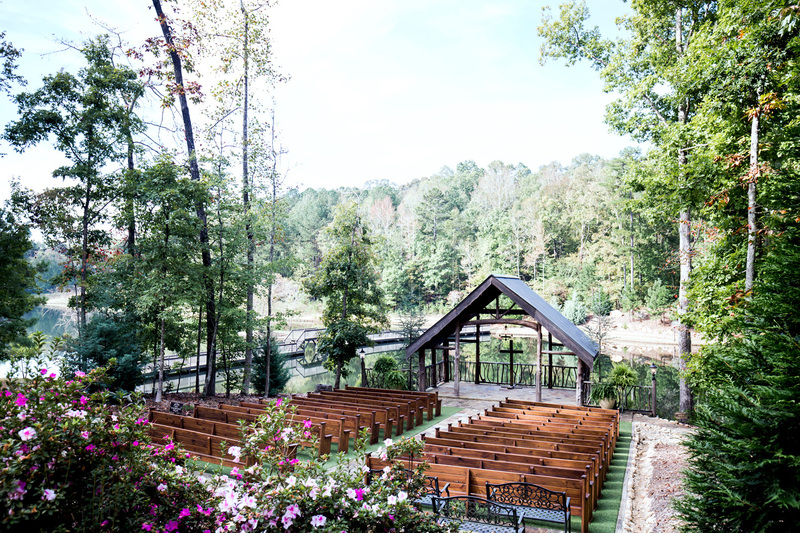 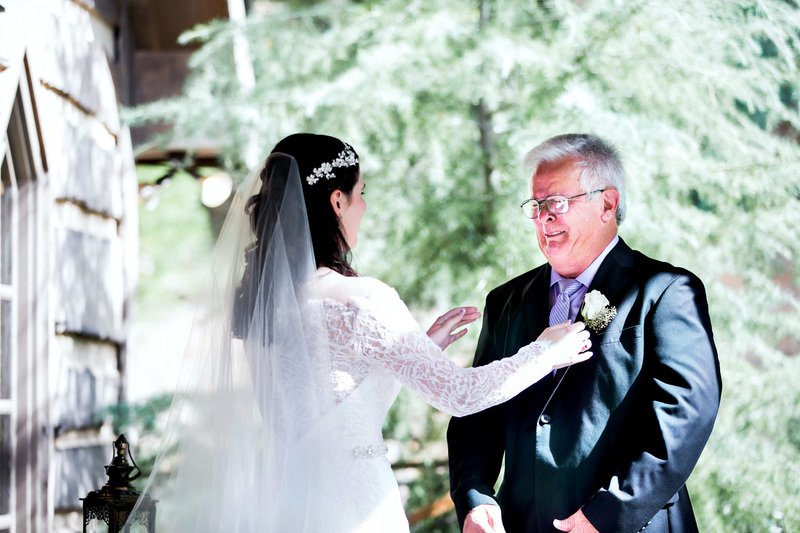 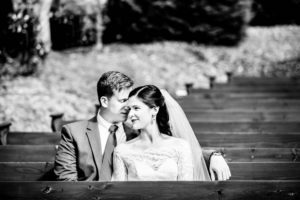 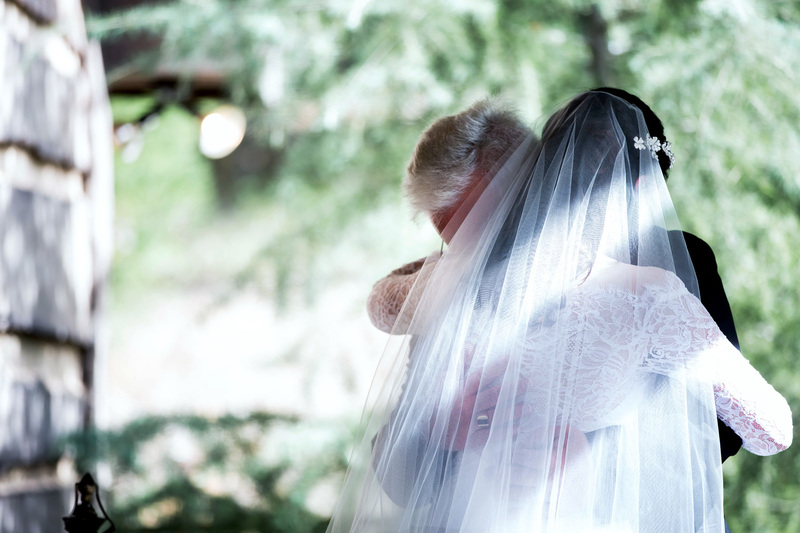 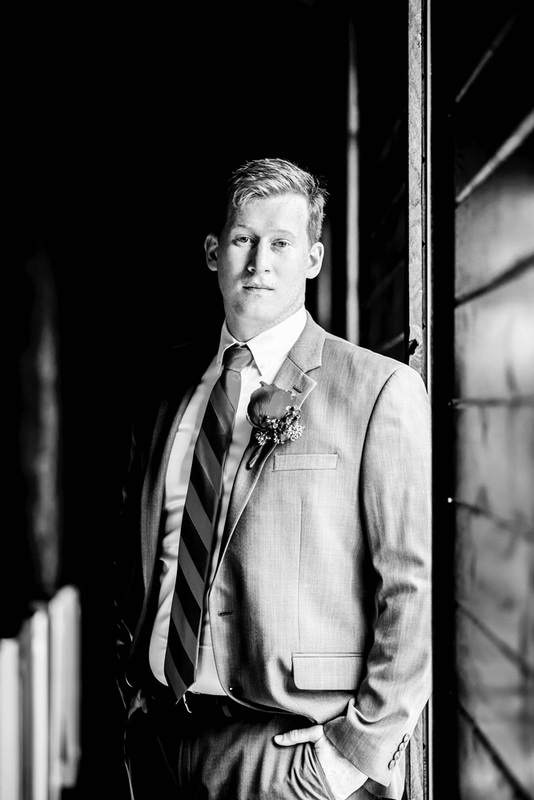 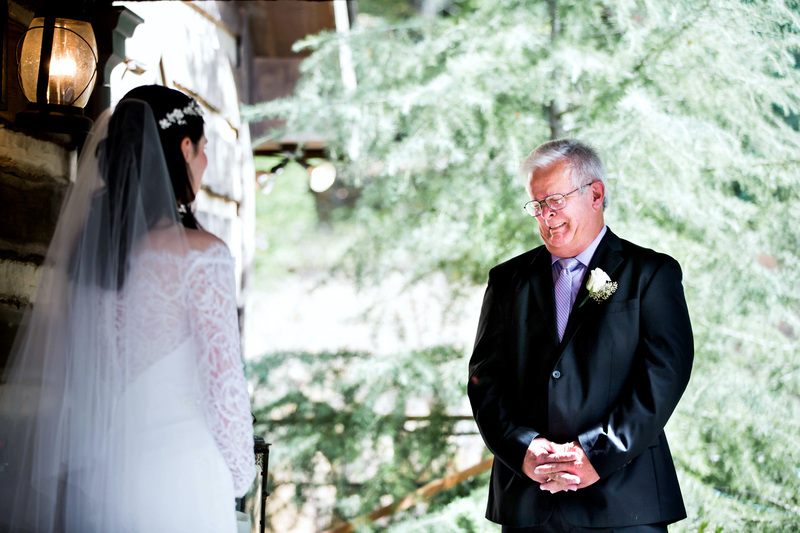 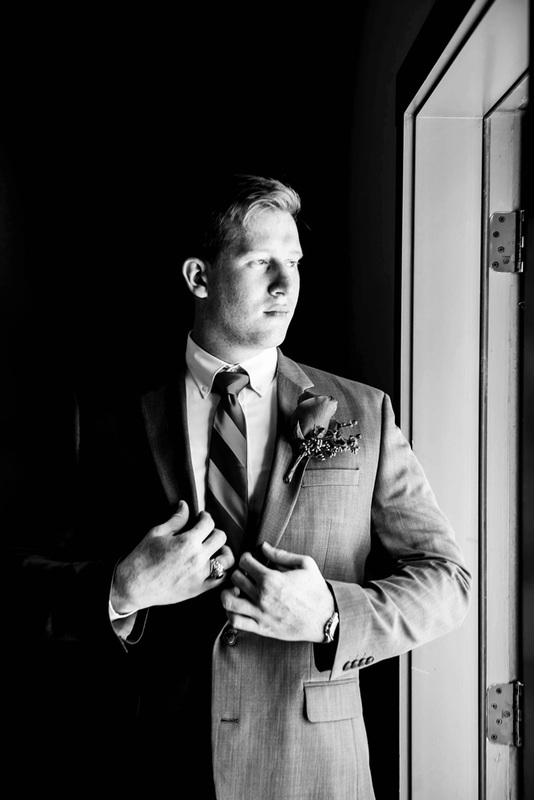 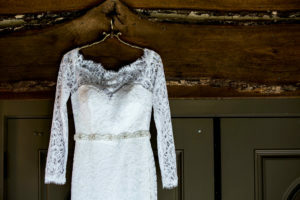 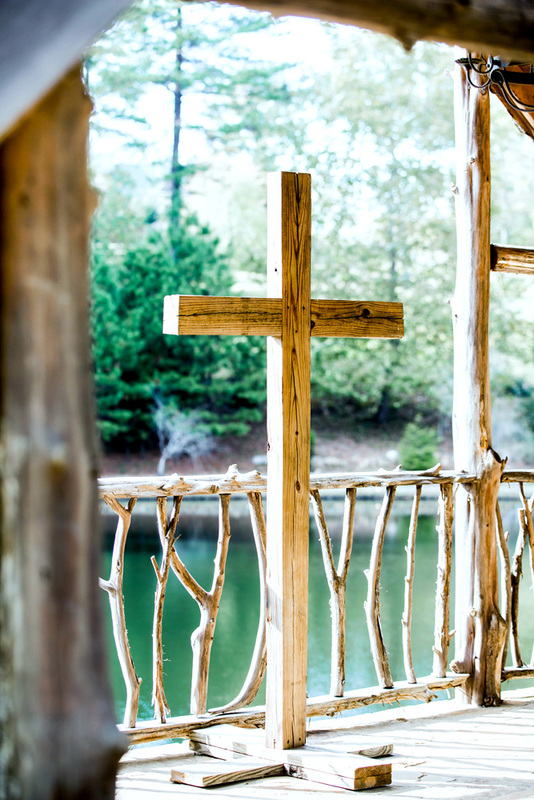 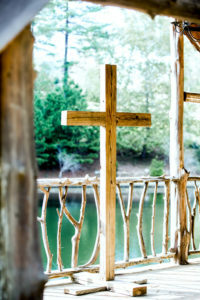 They had an outdoor wedding location with church pews and a beautiful rustic elegant arbor. 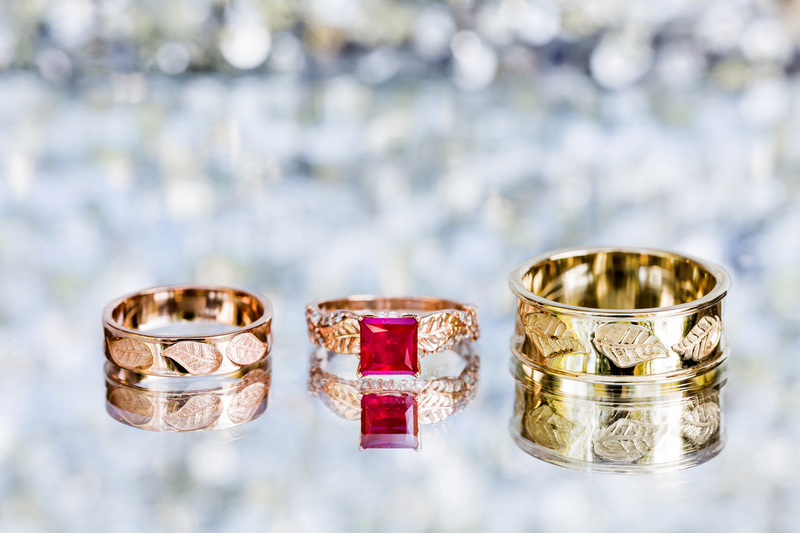 It is where where rustic meets elegance! 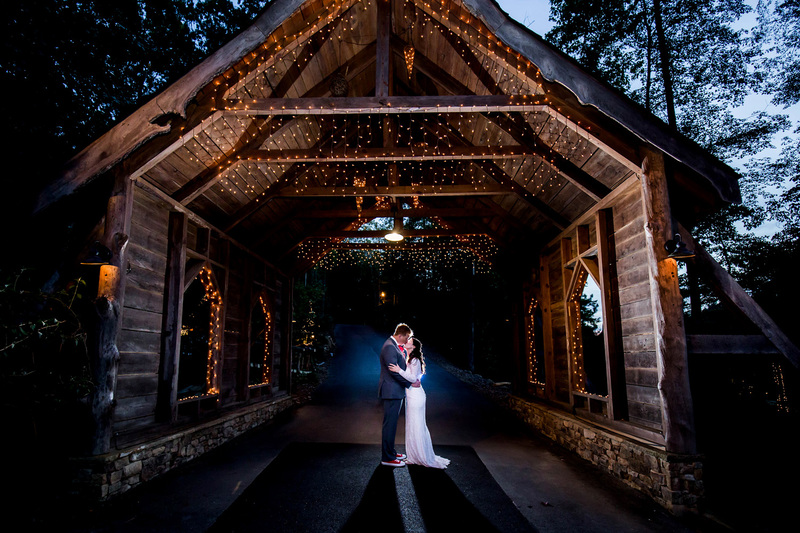 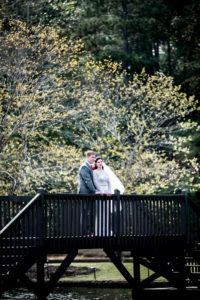 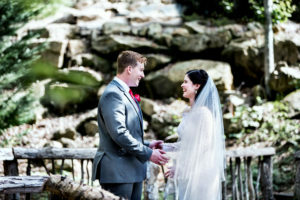 They Indigo Falls provided a one-stop service that make it so easy for Bianca and Dan! They handled the decor, flower, food and music! 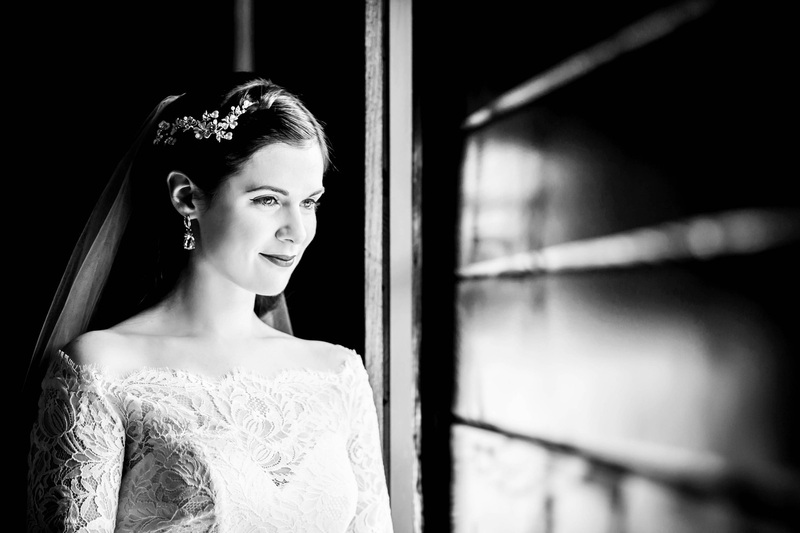 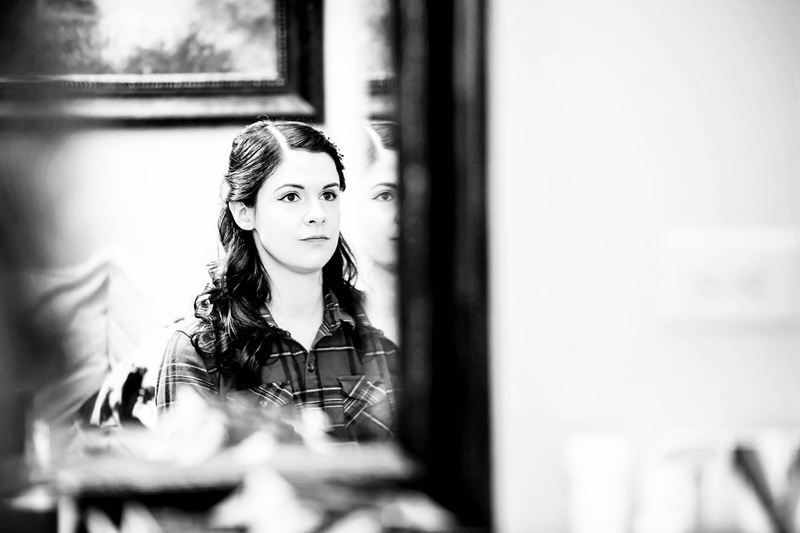 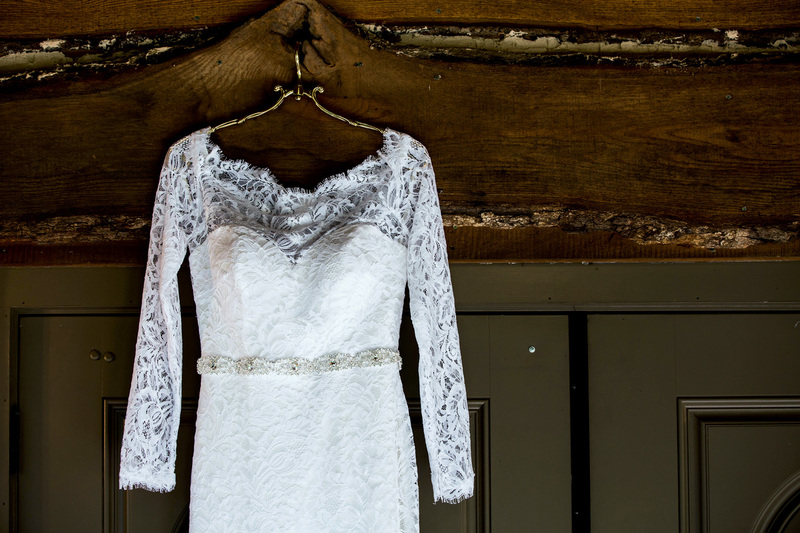 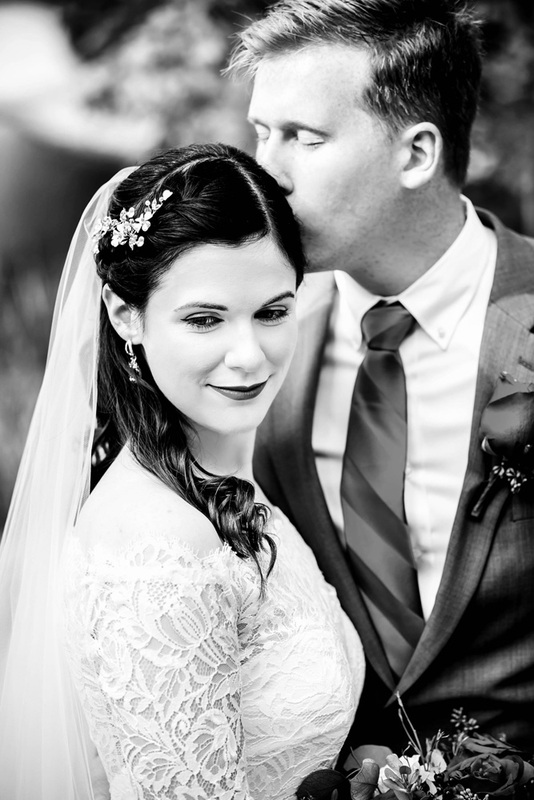 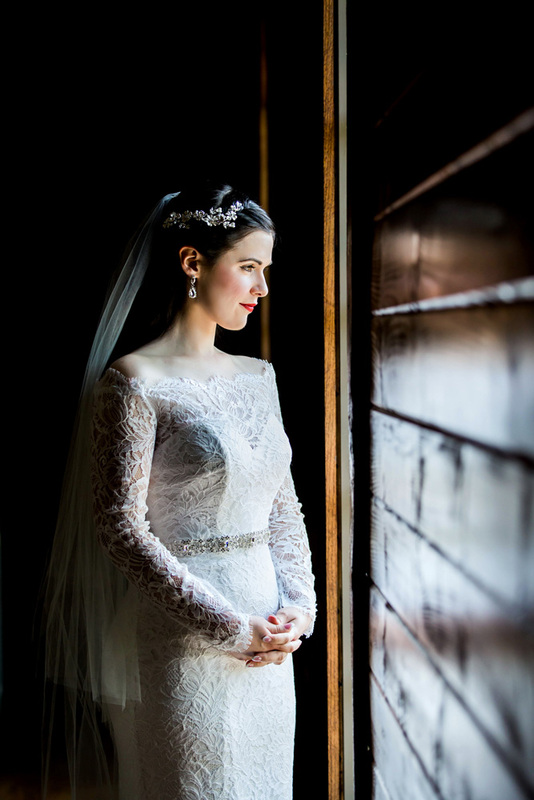 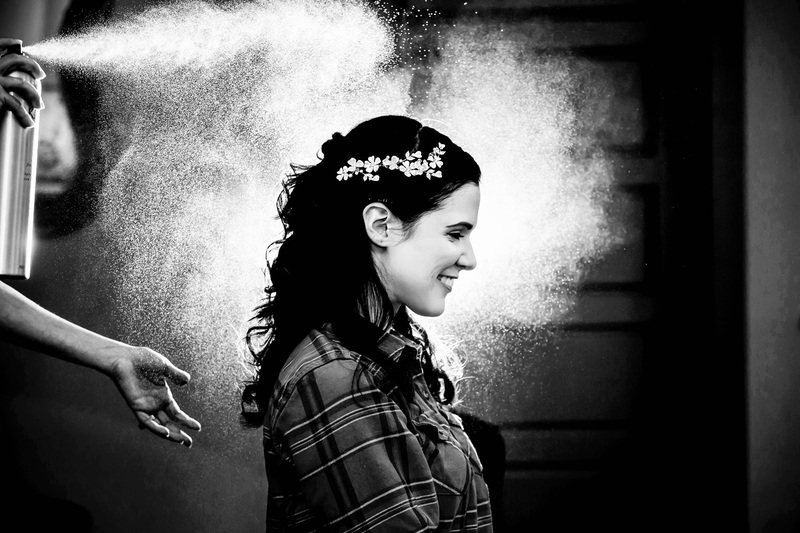 Everything came together so beautifully for Bianca and Dan’s special day!